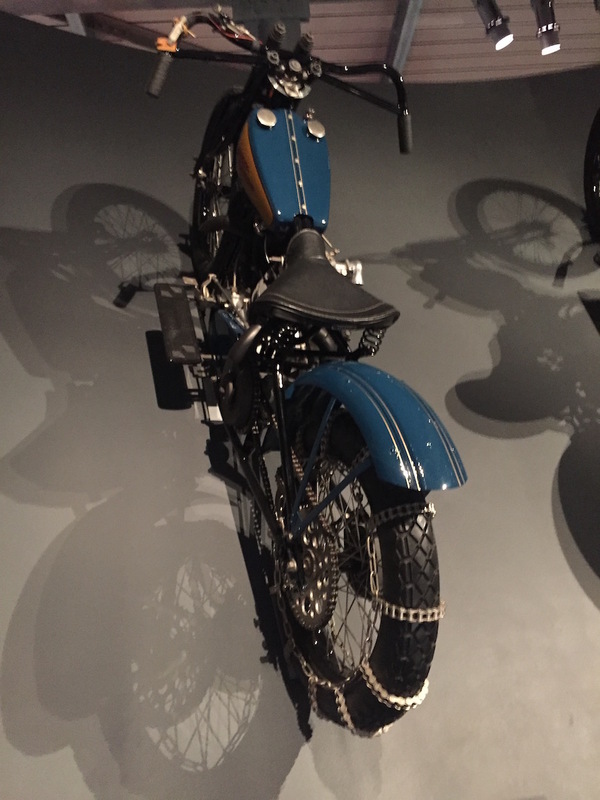 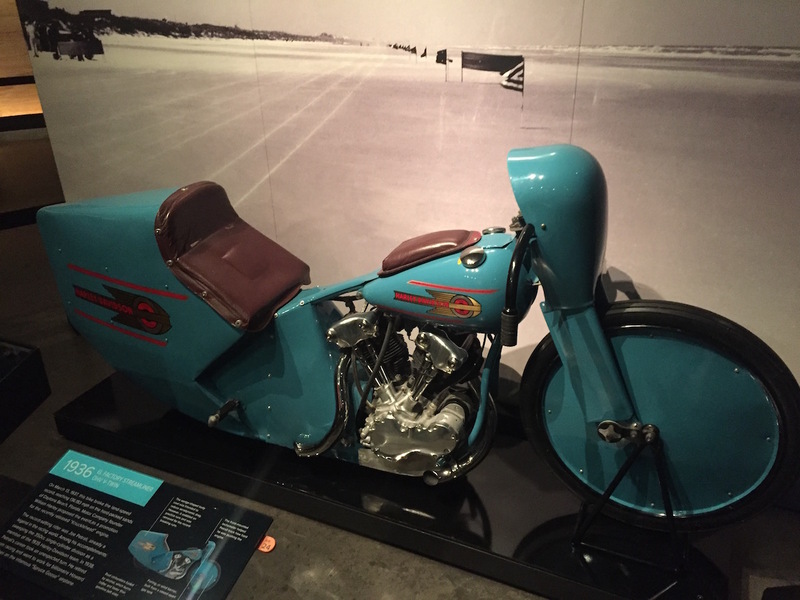 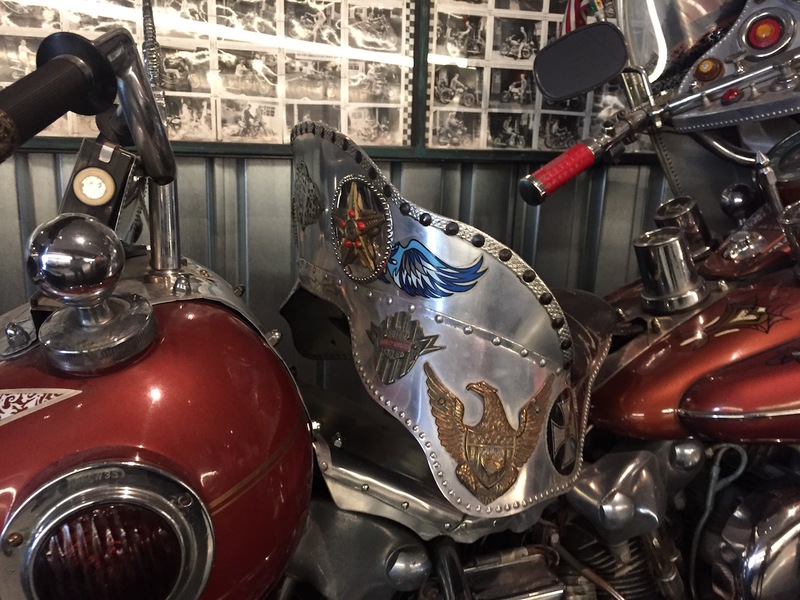 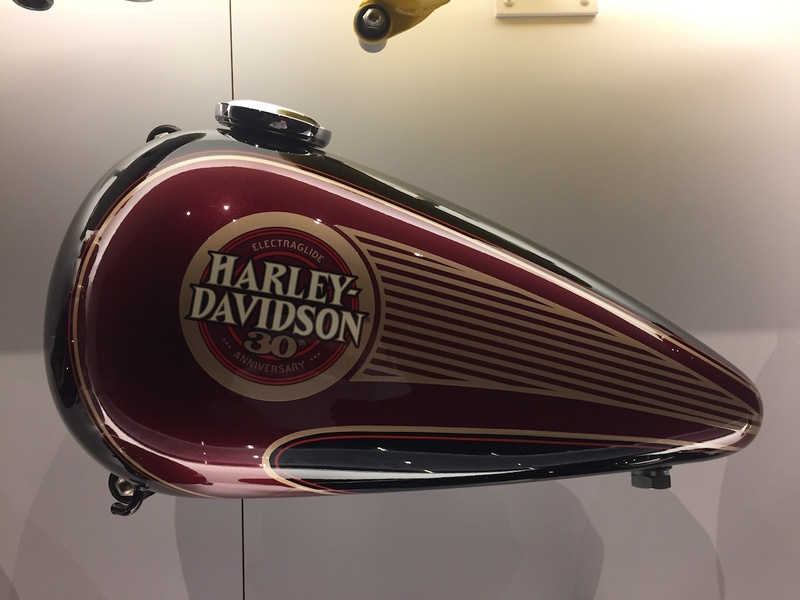 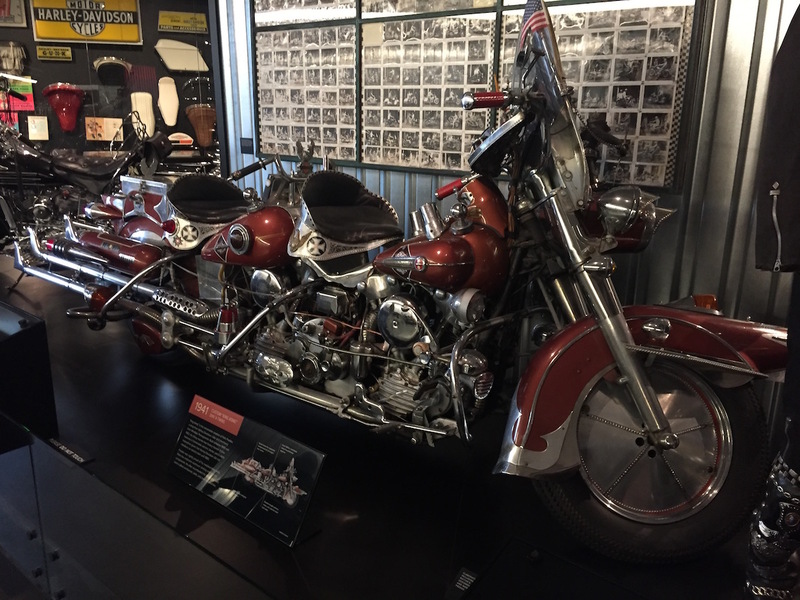 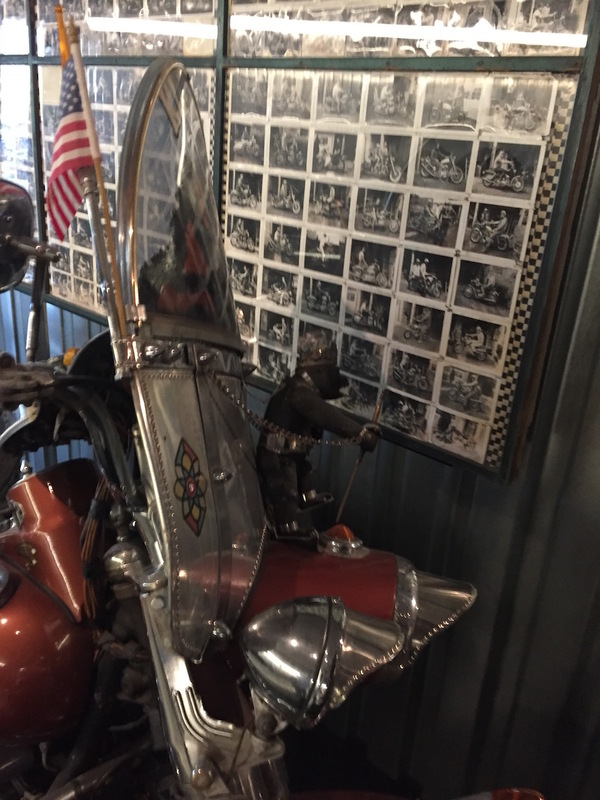 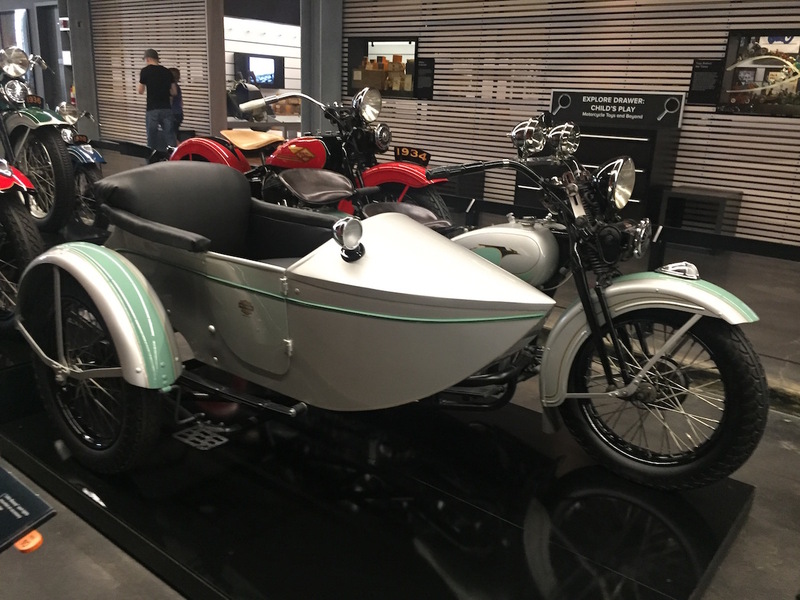 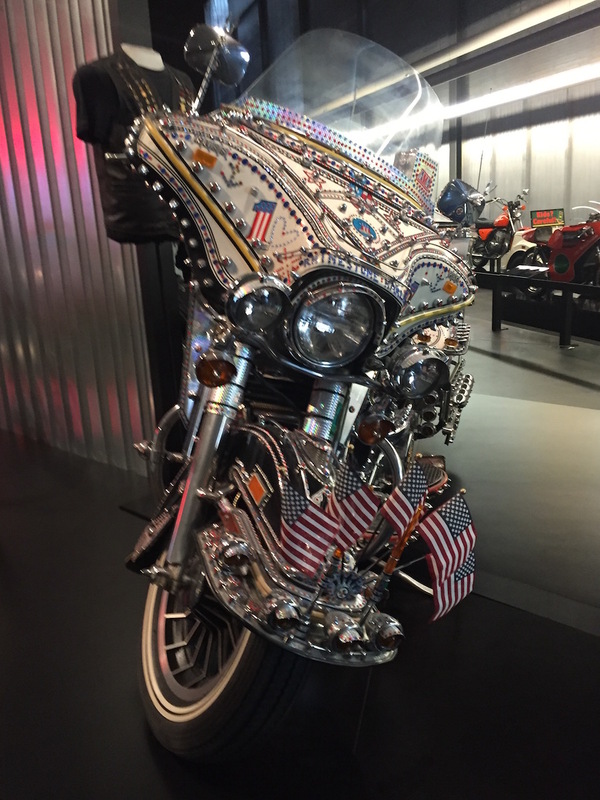 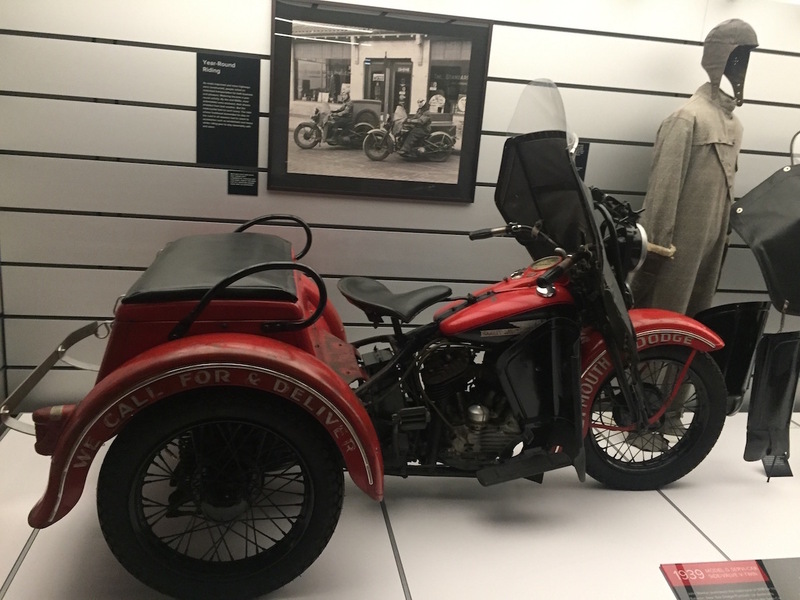 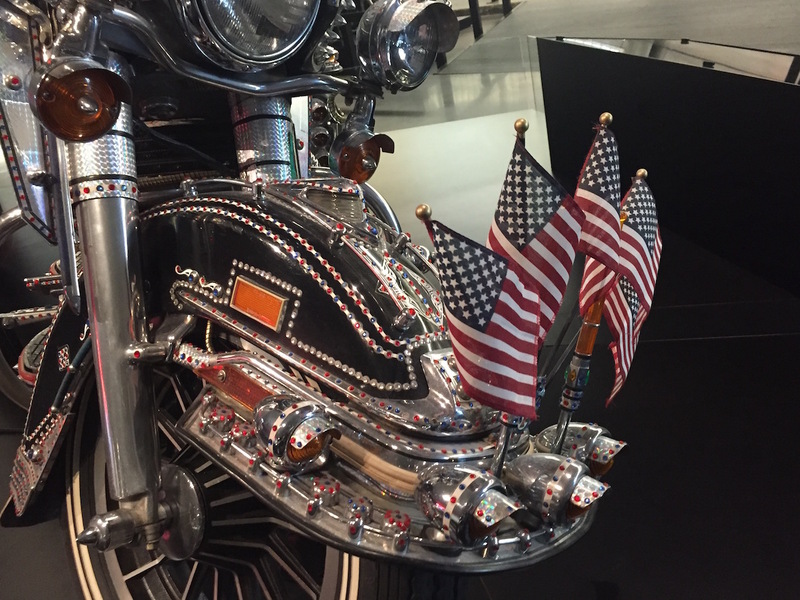 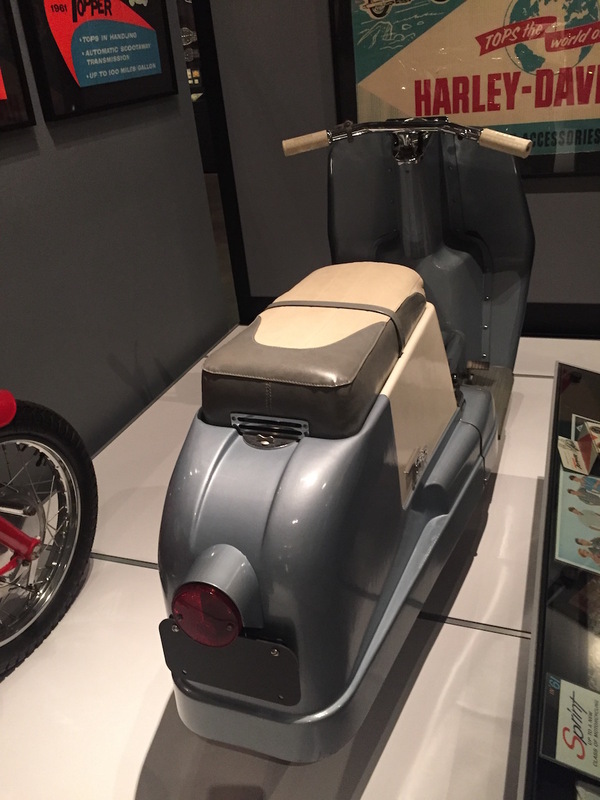 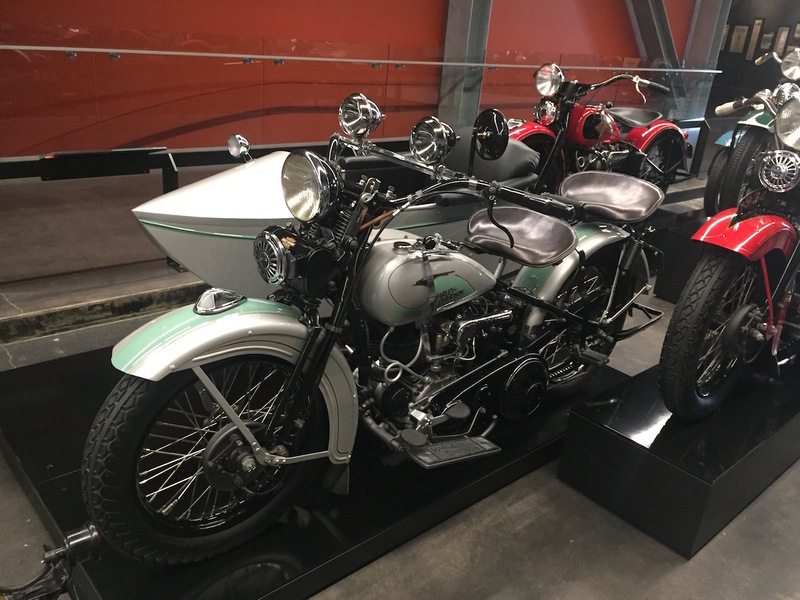 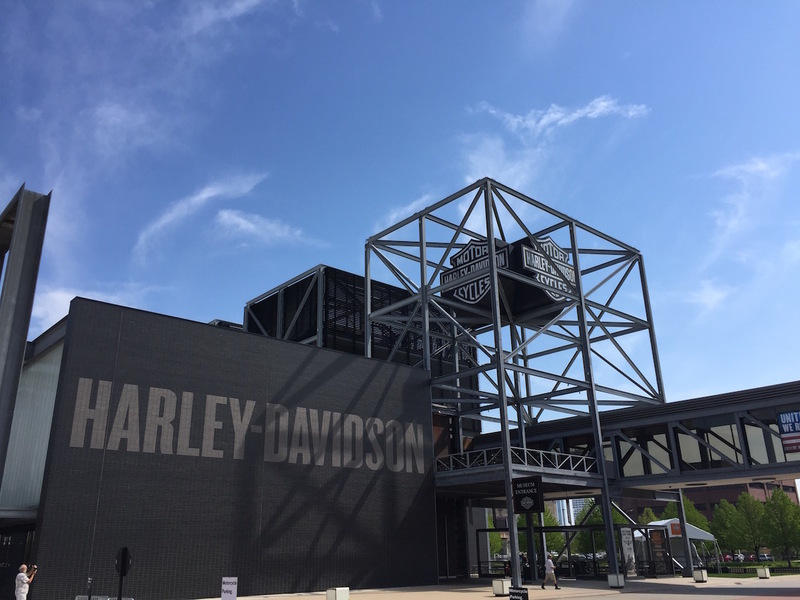 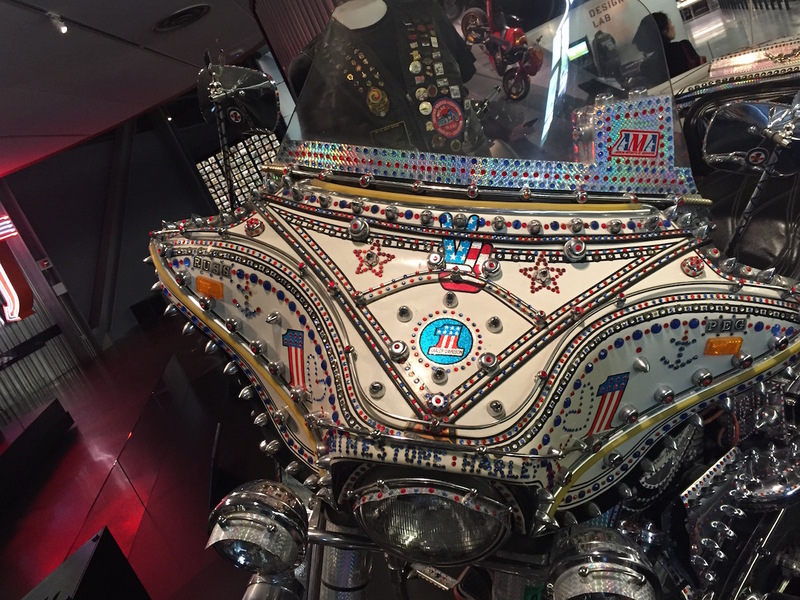 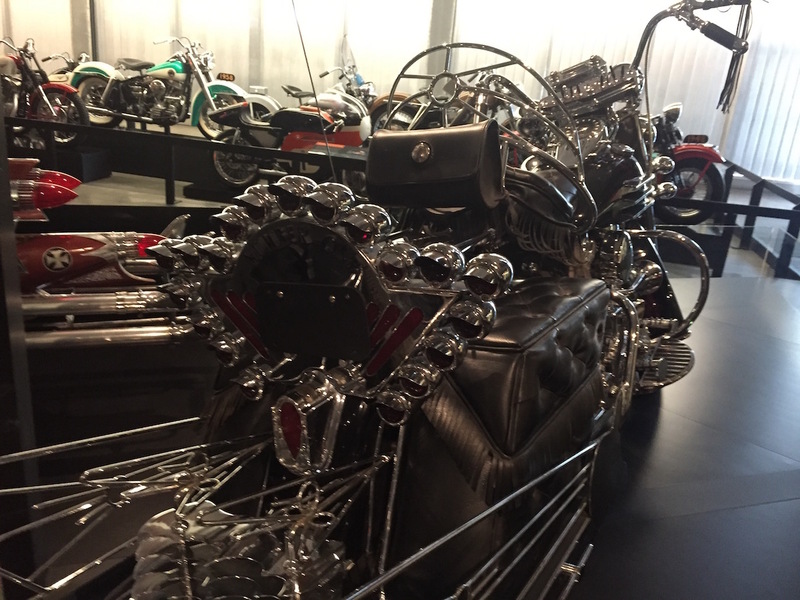 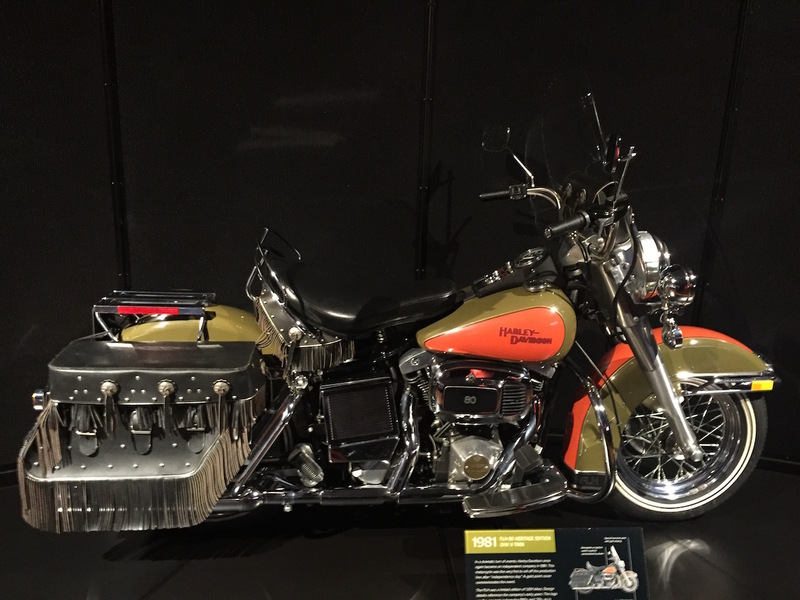 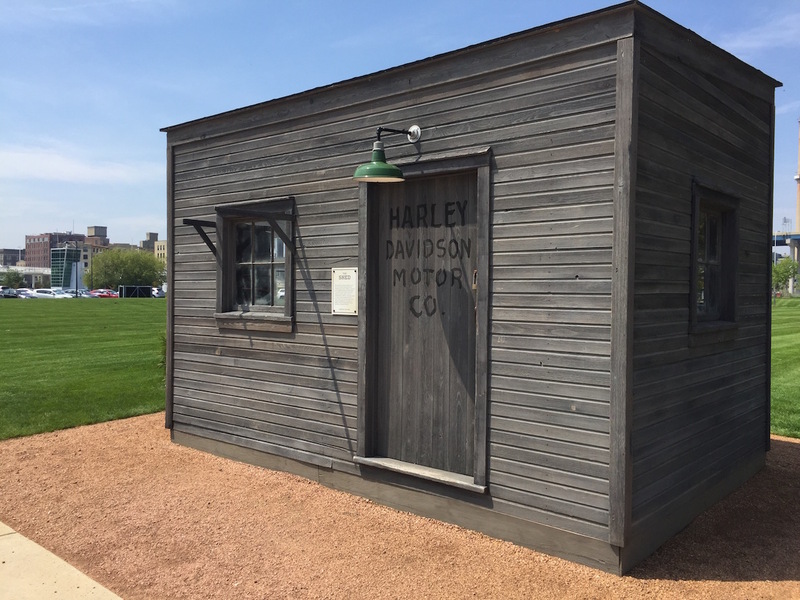 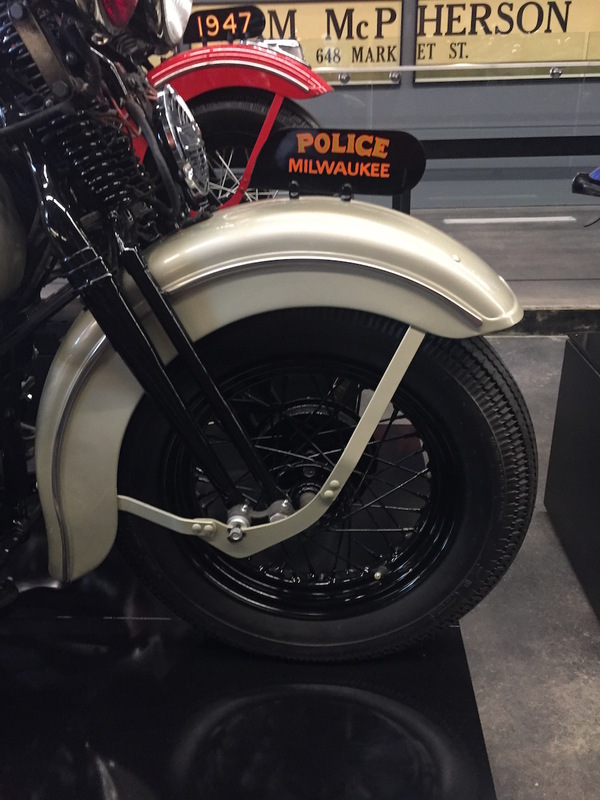 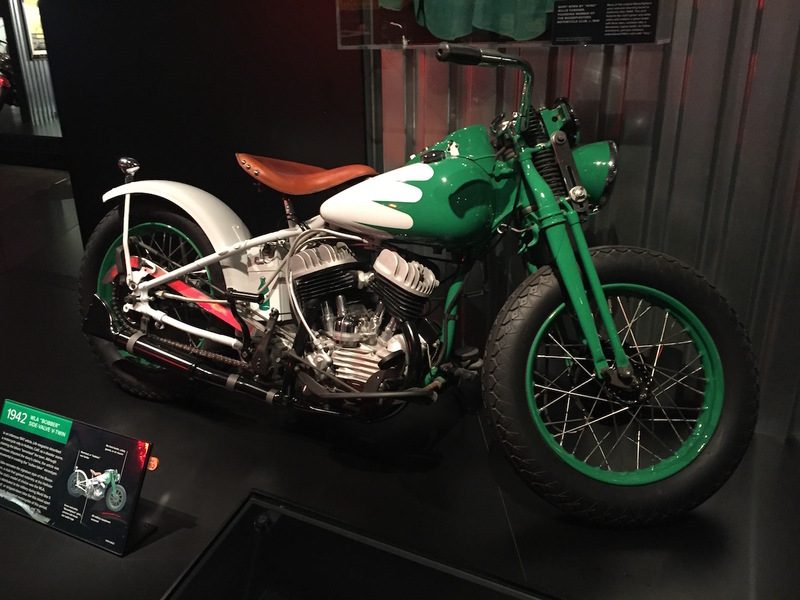 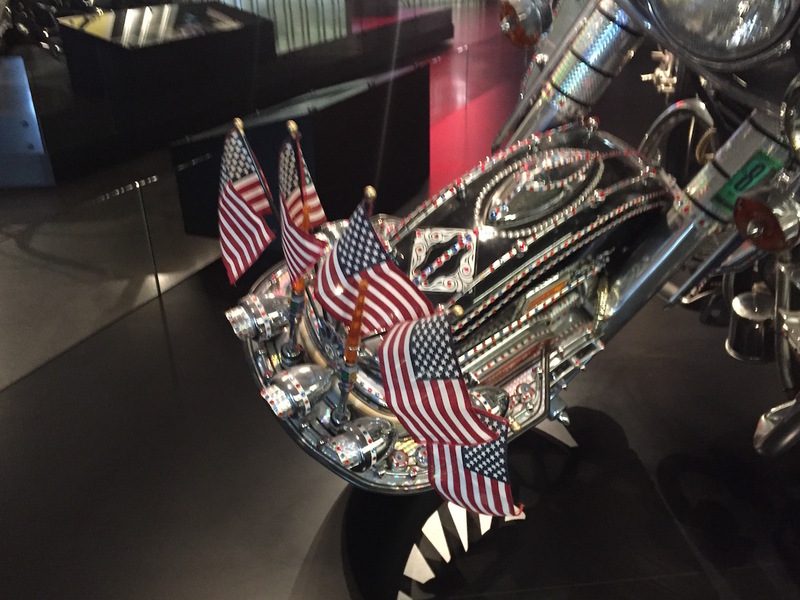 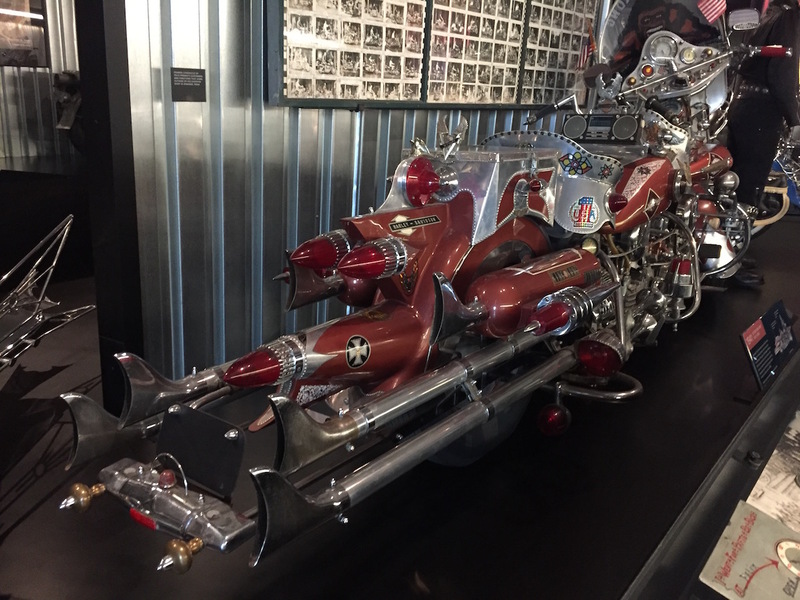 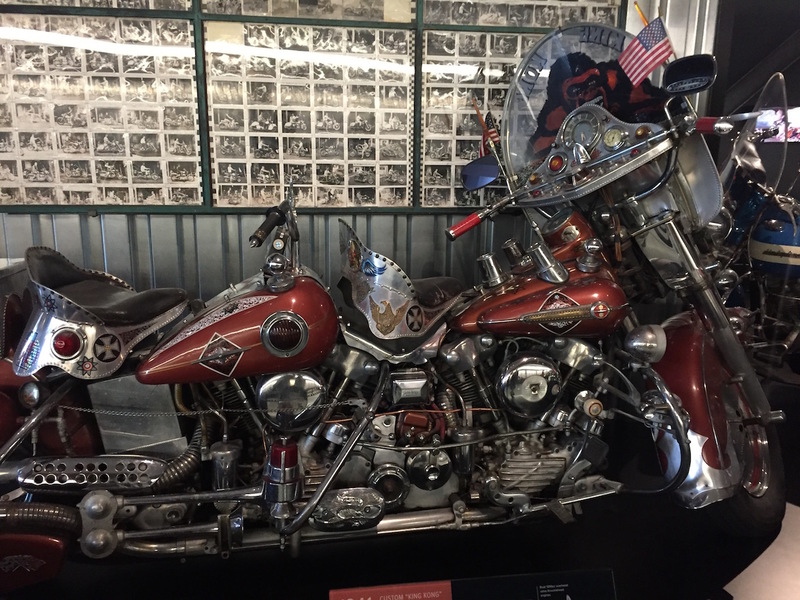 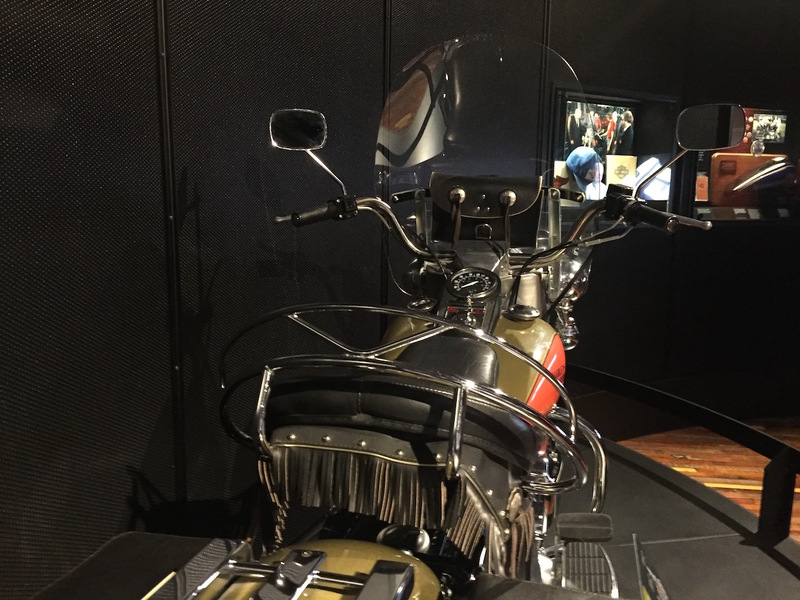 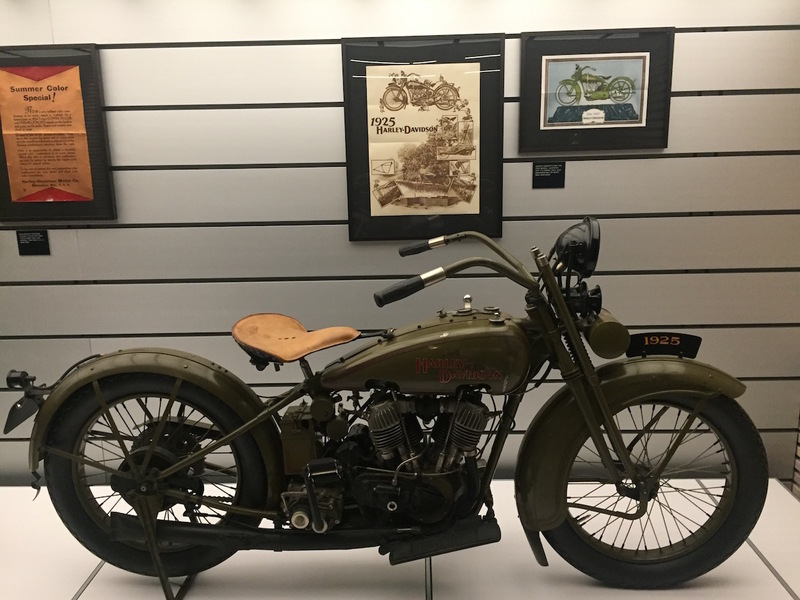 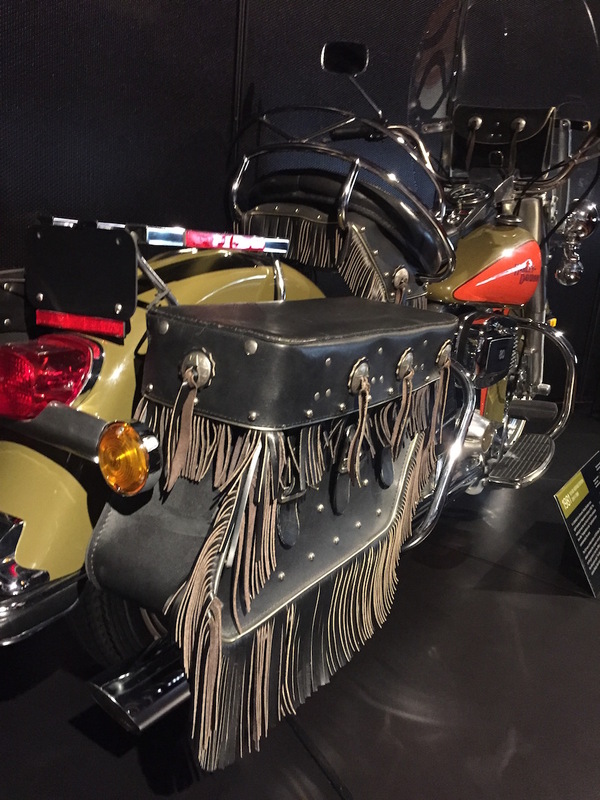 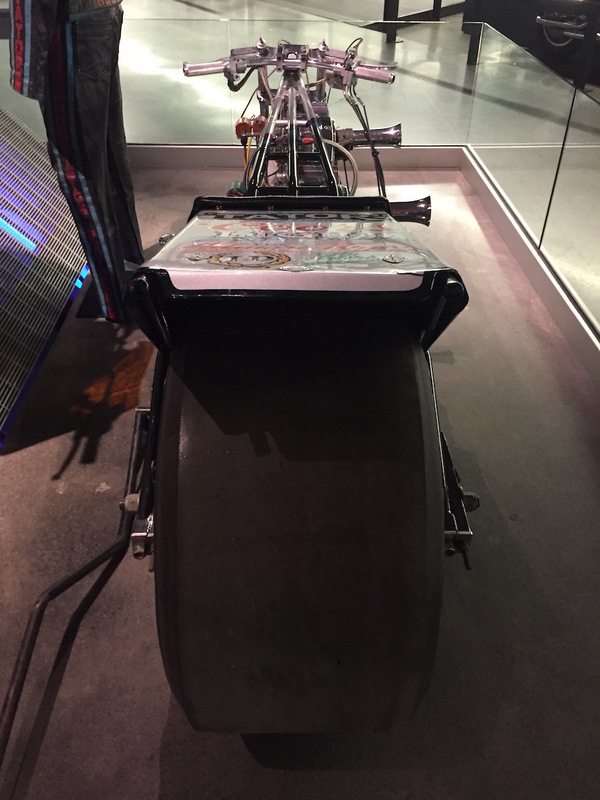 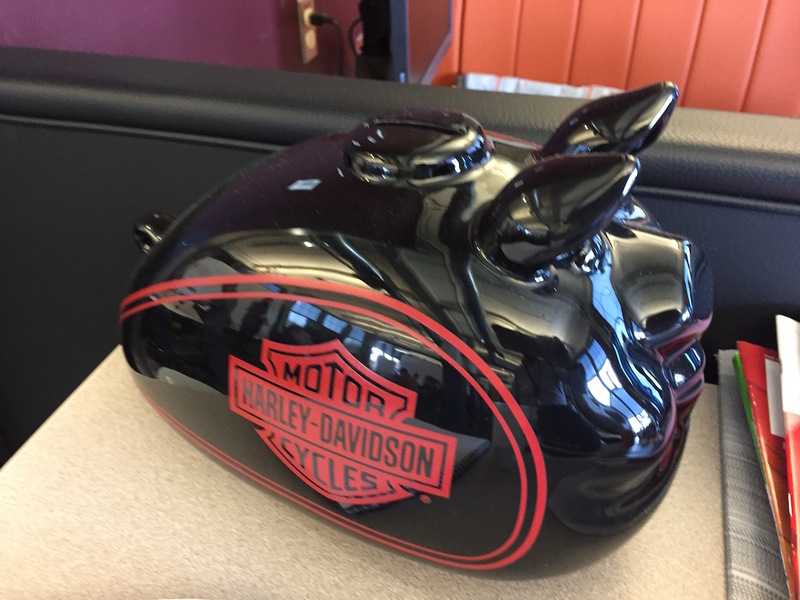 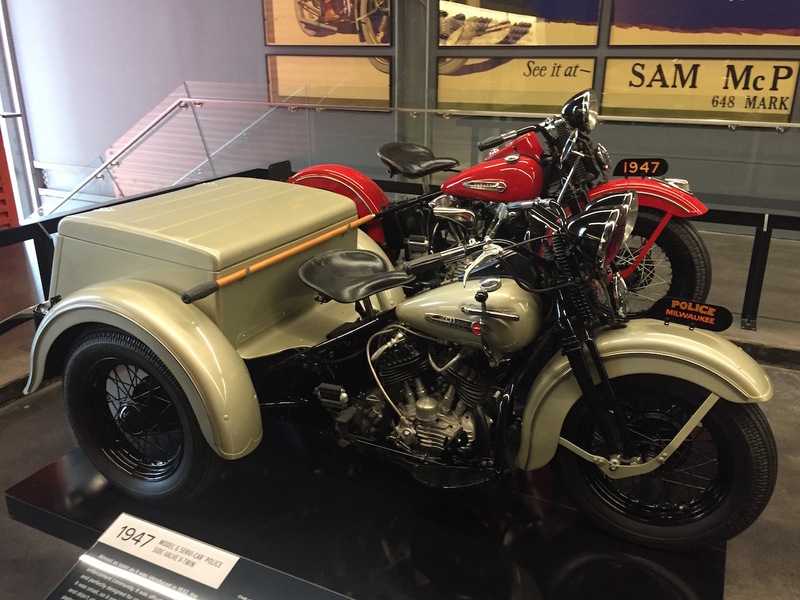 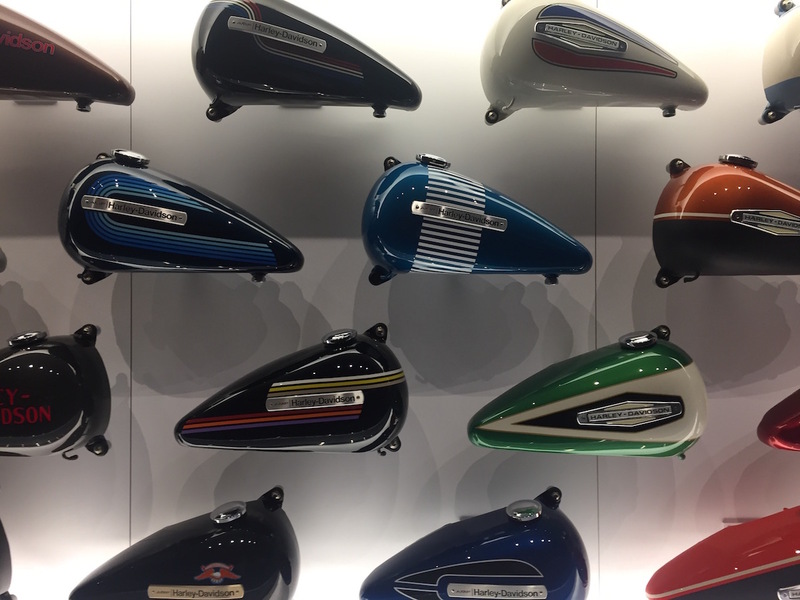 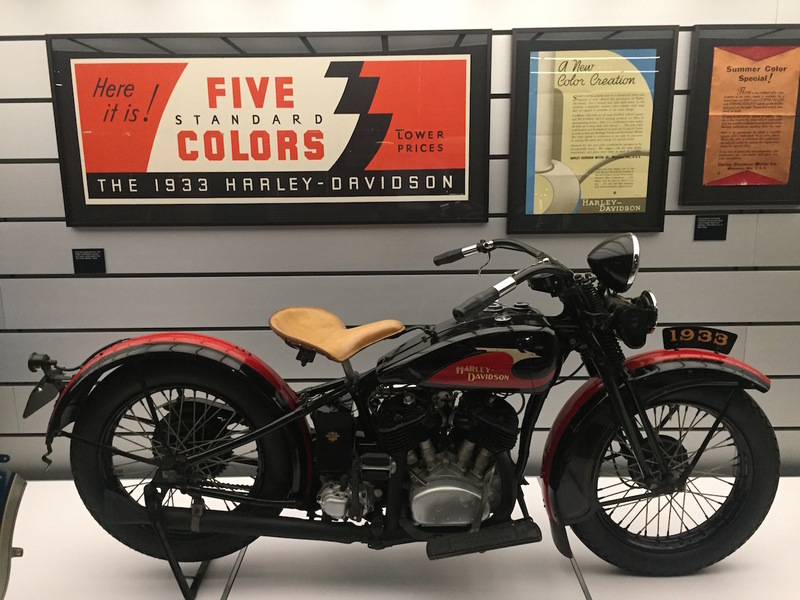 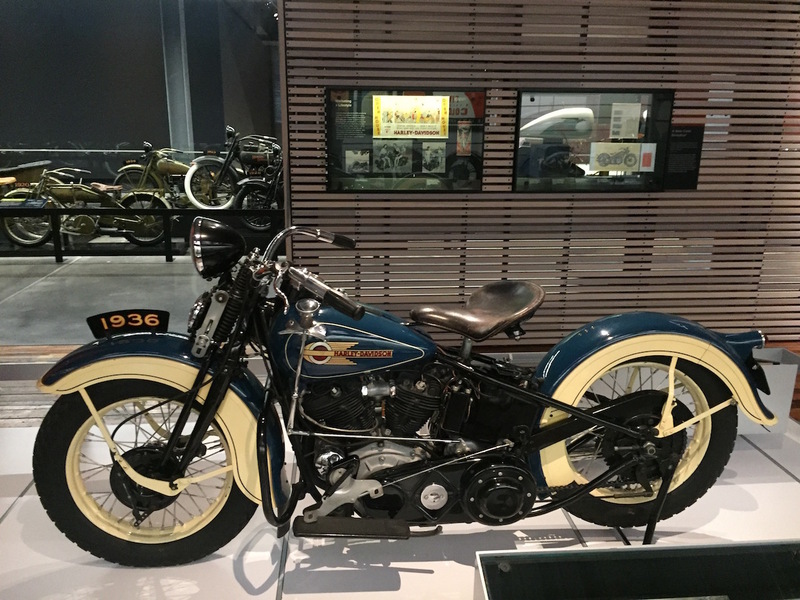 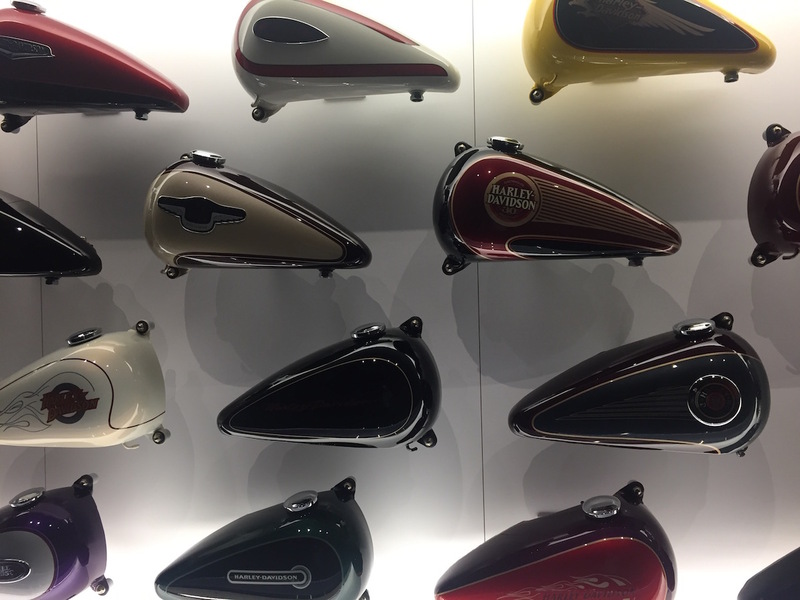 A business trip to an iconic American motorbike manufacturer – whose name I must not name due to non-disclosure agreements – led me to visit the Harley-Davidson museum in Milwaukee. 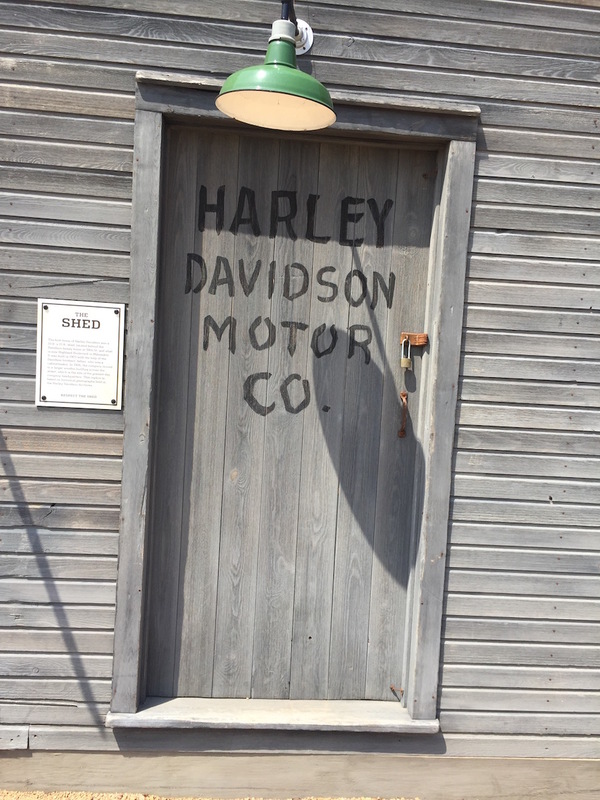 For 20 dollars visitors can experience a time travel through the history of the company started in 1903 by William Harley and Arthur Davidson in a little garage. 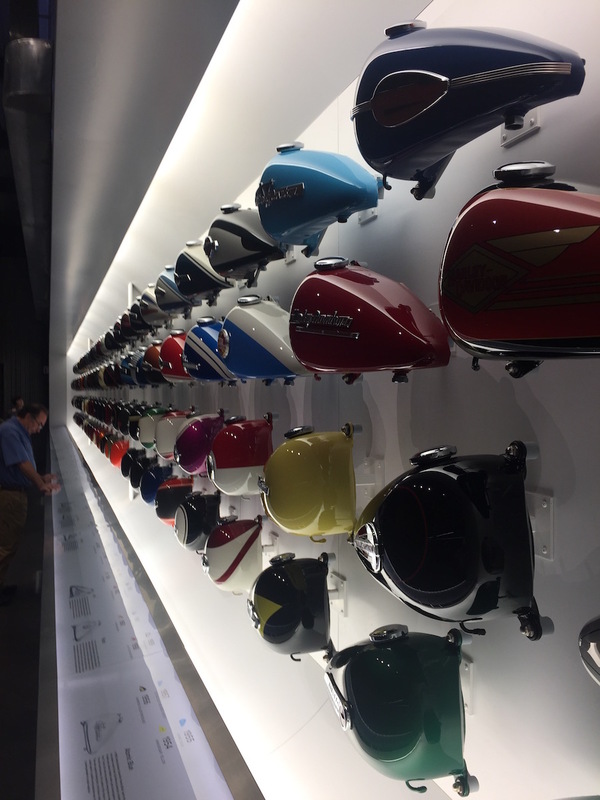 The company and its products have become synonyms for freedom and outlaw cultures. 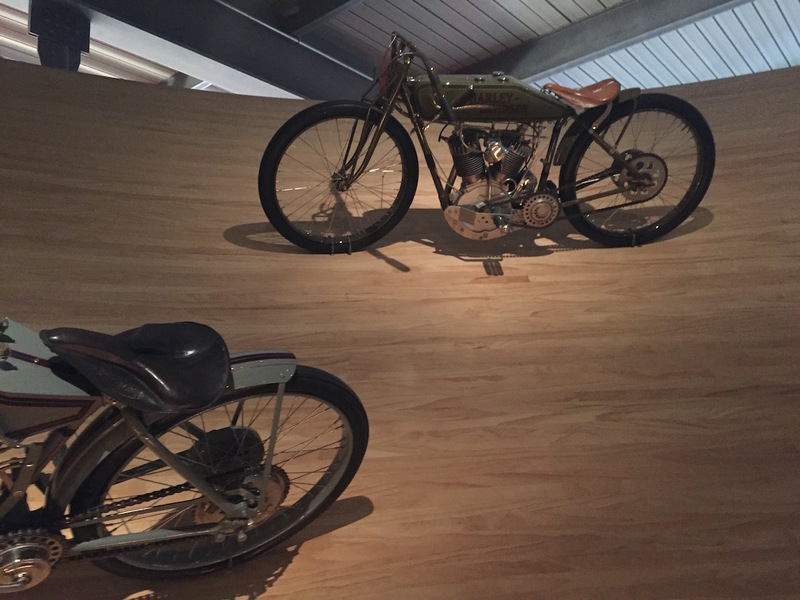 The museum, which was only opened in 2008, offers a surprising number of motorbike history, of which I took photos and post them here. 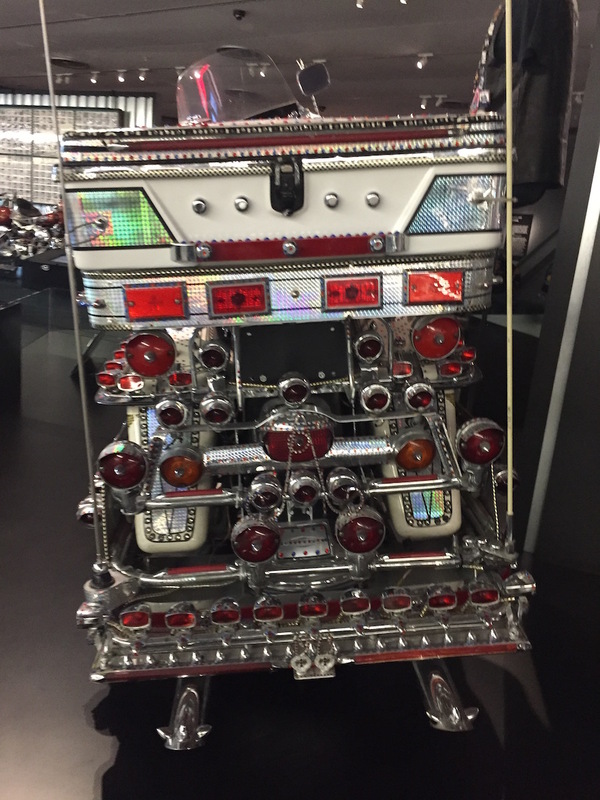 The vehicle known as Serial Number One is a bit of a mystery. 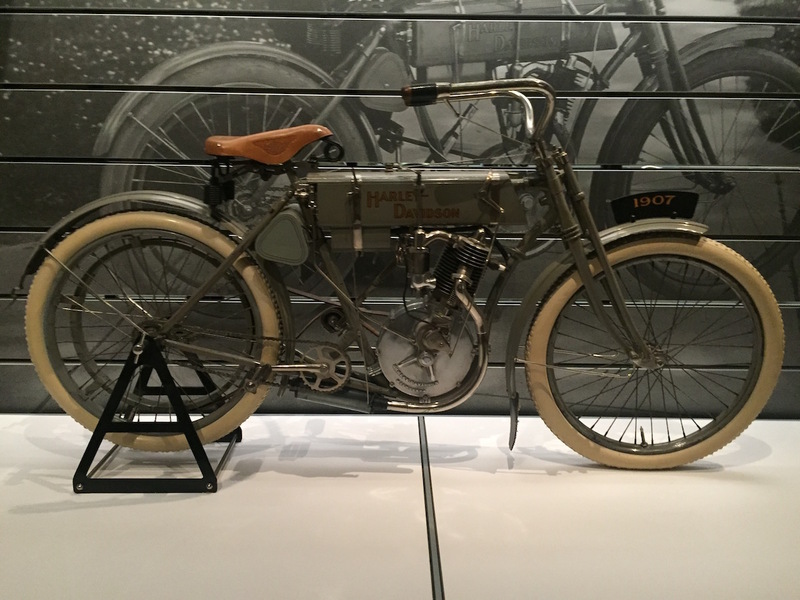 Its engine is very early, but doesn’t match what we know about the first engines produced by Harley-Davidson. 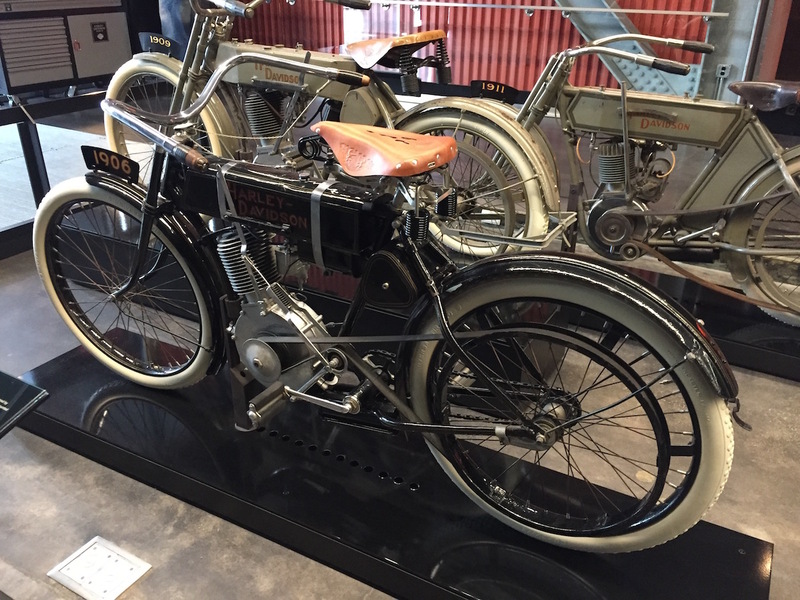 The frame, which dates to 1905, is not original to this motorcycle. 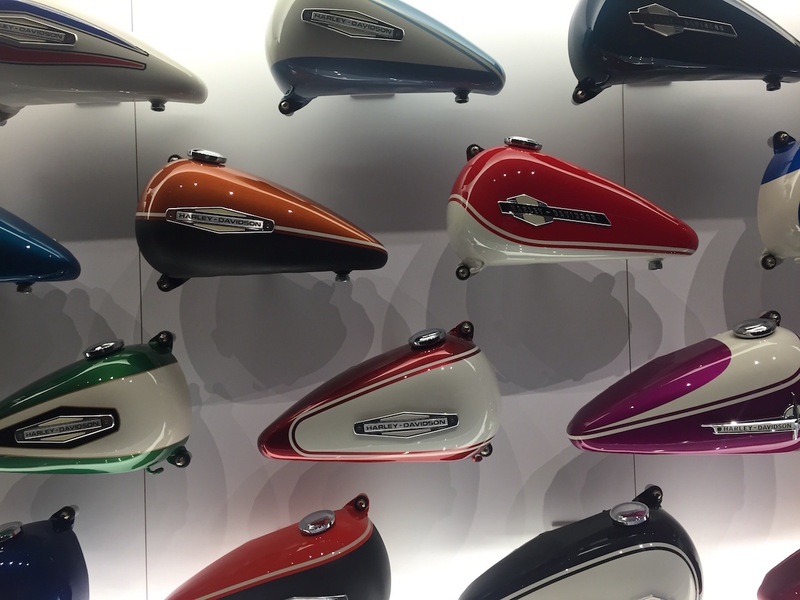 These oddities have triggered much debate. 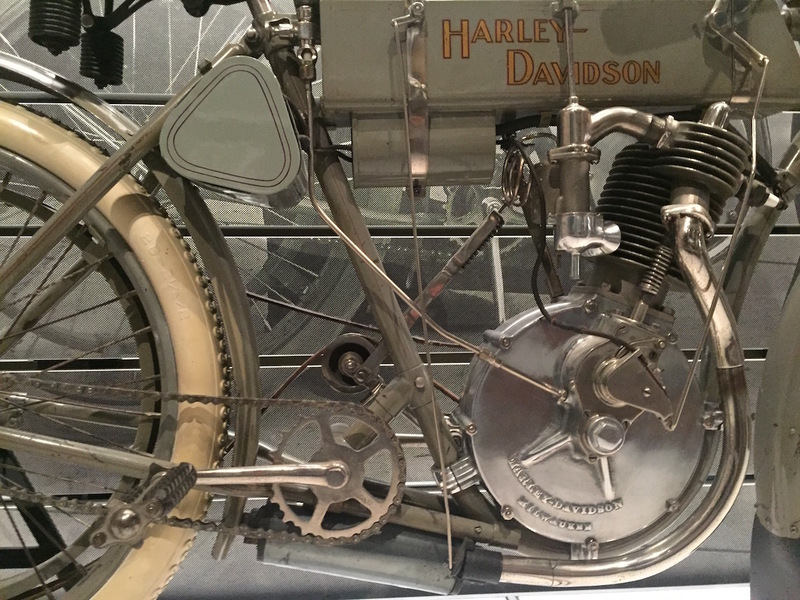 During the 1990s, restorers discovered a number “1” stamped inside various components, inspiring the bike’s nickname. 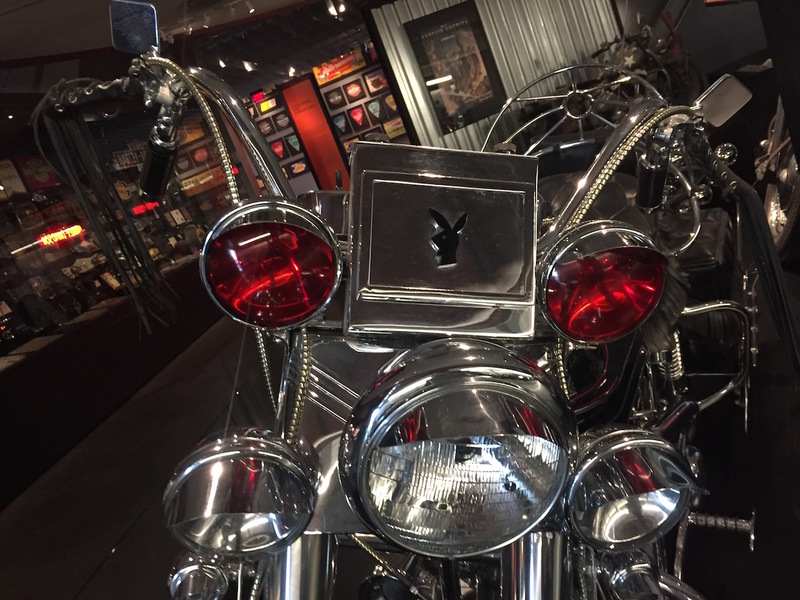 Because of the questions surrounding it, Serial Number one has become a legend in Harley culture. 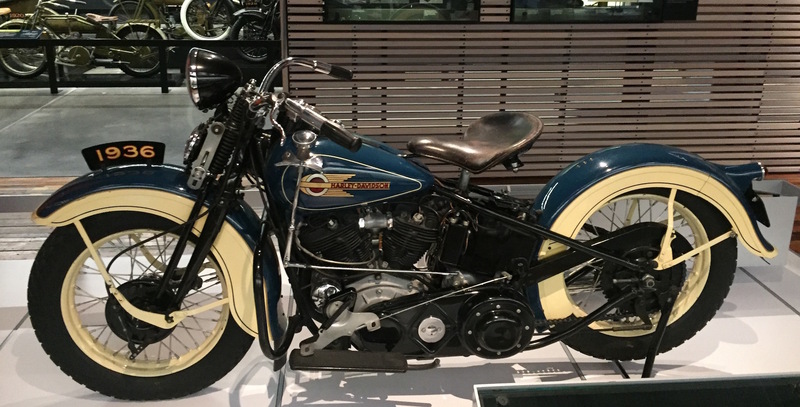 Only one thing is for sure: this is the oldest Harley-Davidson in the world. 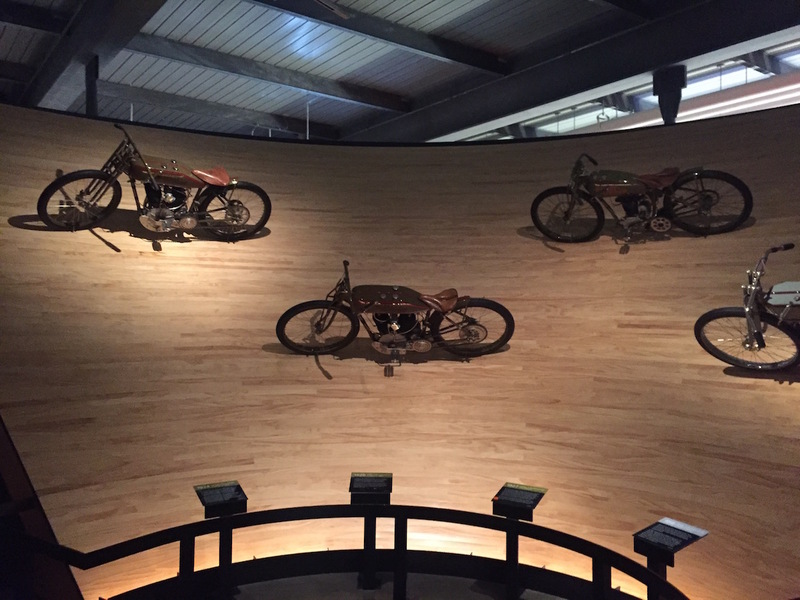 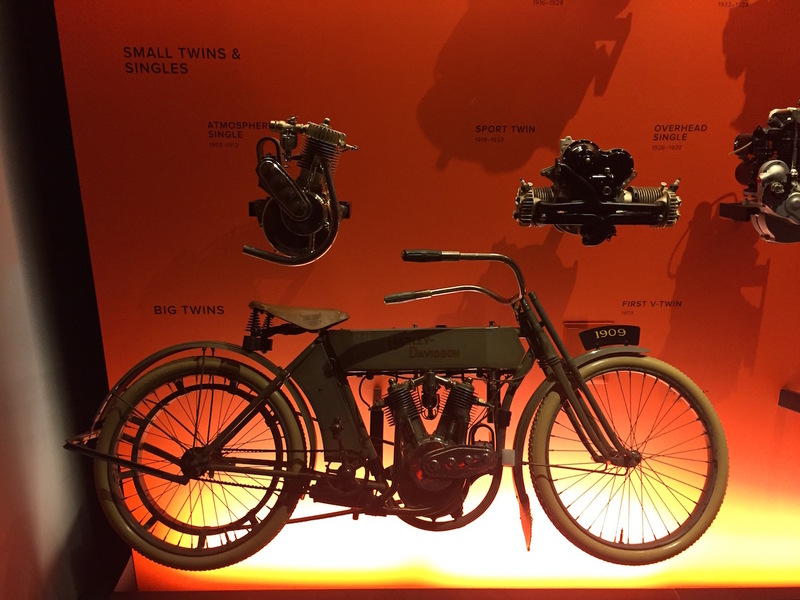 The exhibit starts from the early history of Harley Davidson with an impressive collection of well preserved bikes. 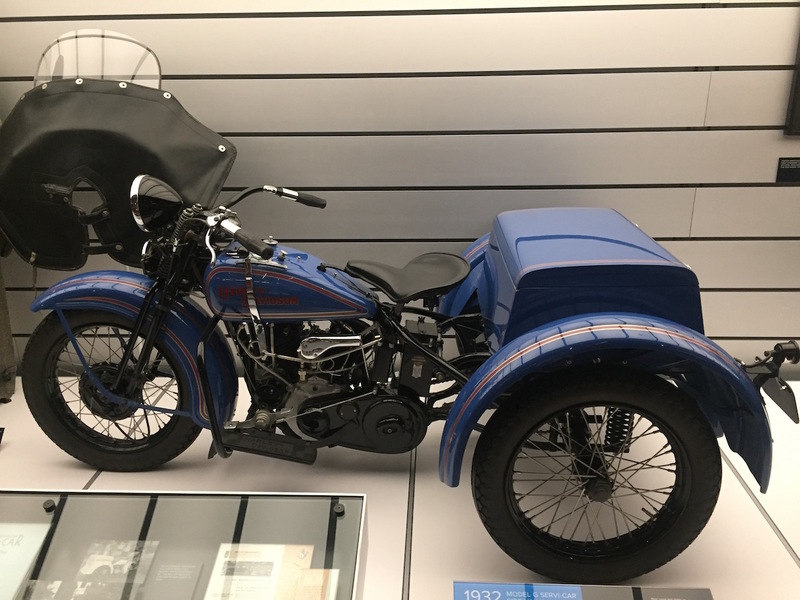 Here the beautiful sidecar Model J from 1918. 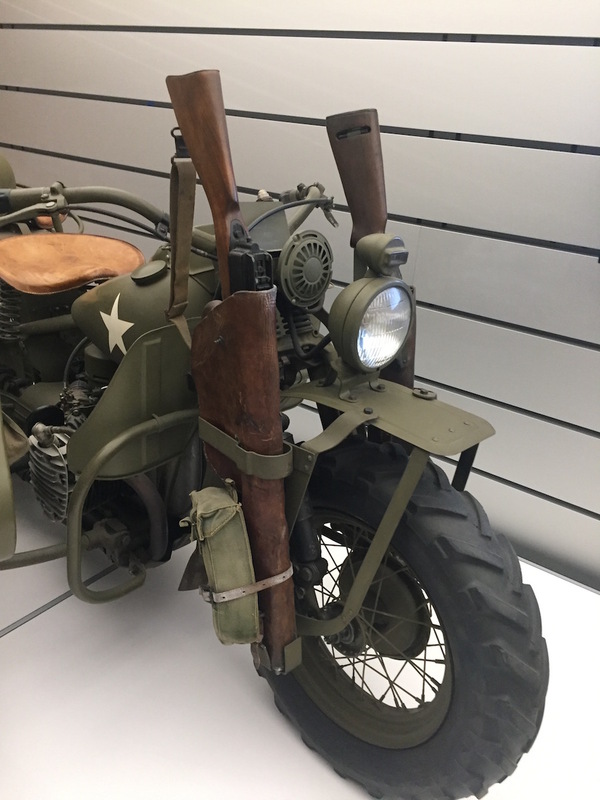 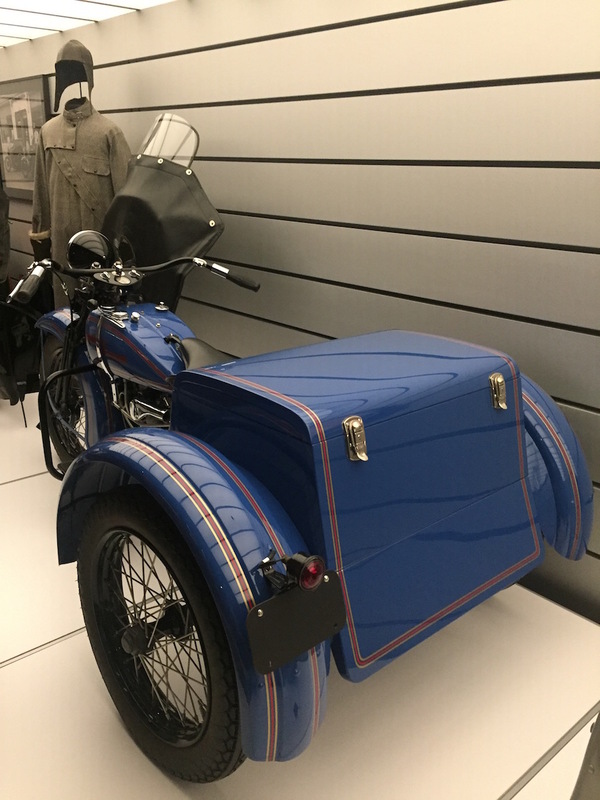 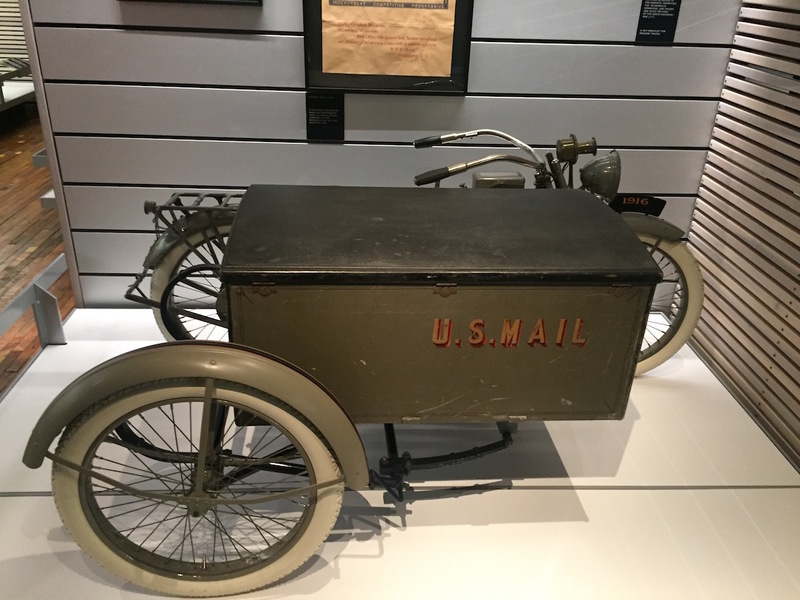 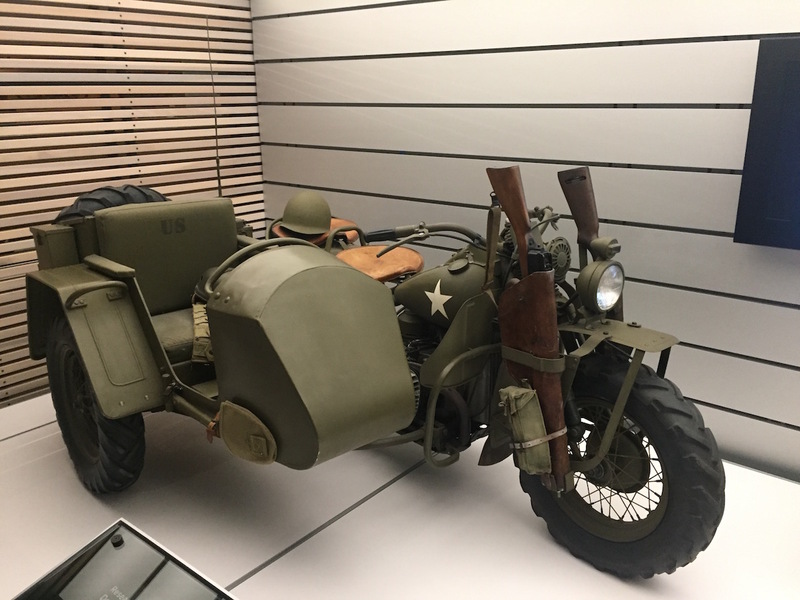 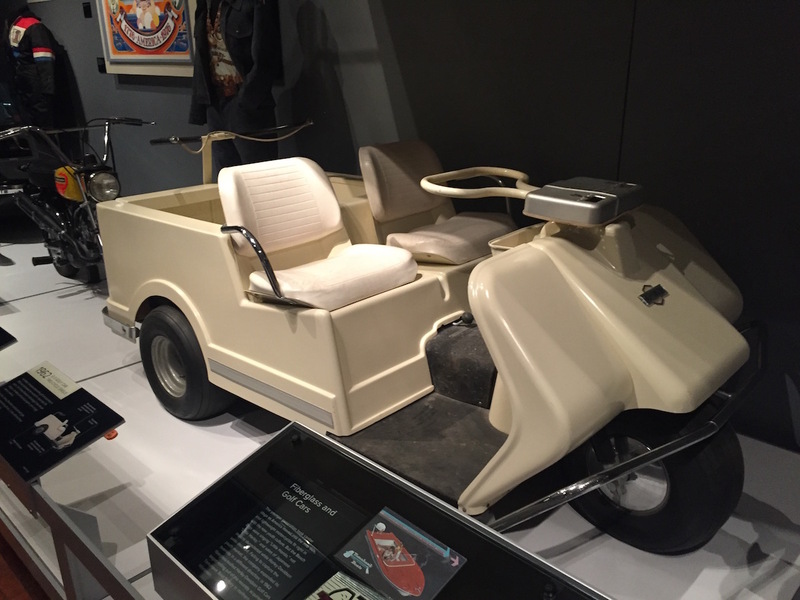 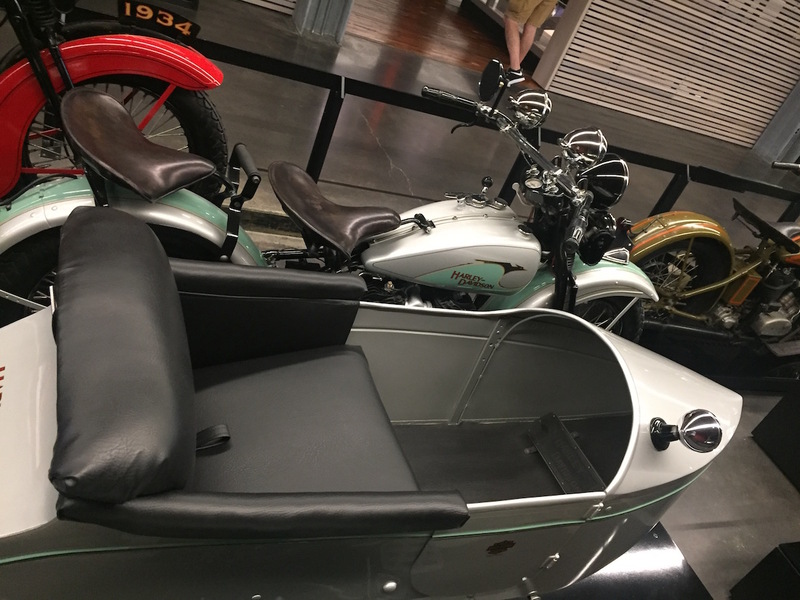 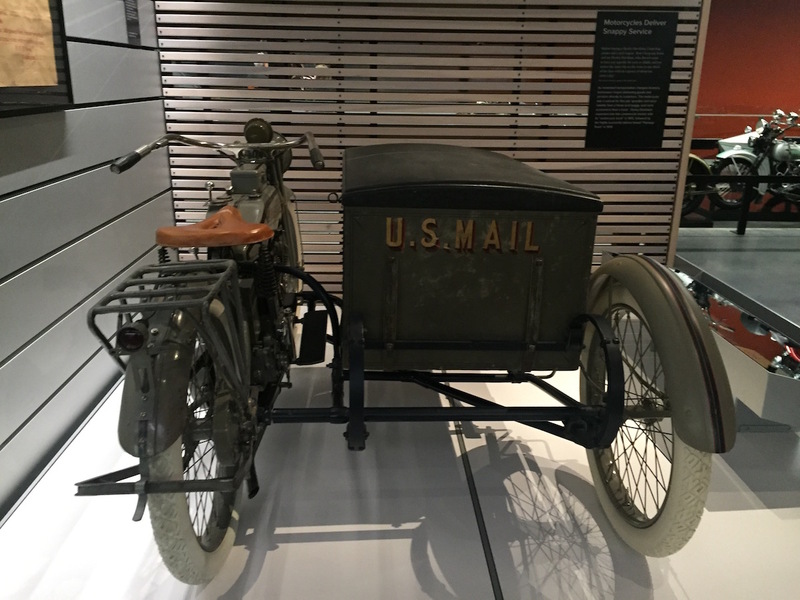 Some space is dedicated to sidecars and trikes that were used by military, police, and the United States Postal Service. 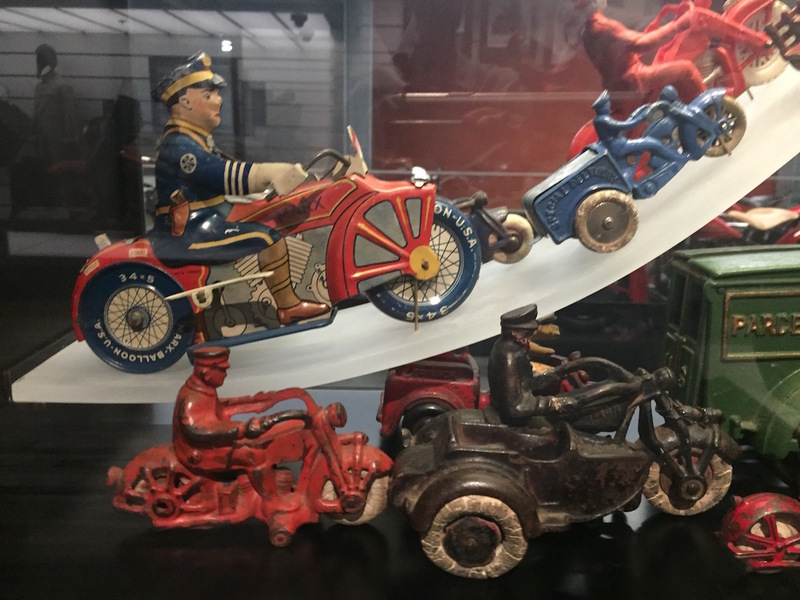 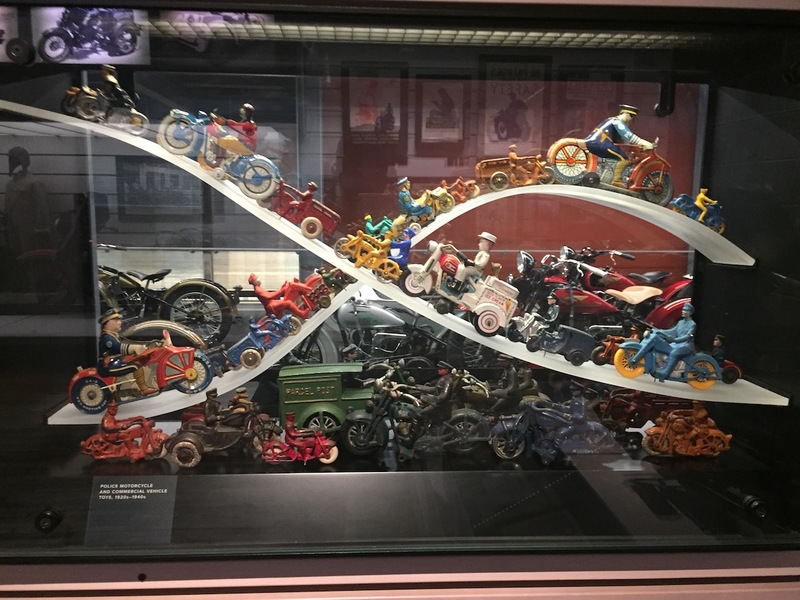 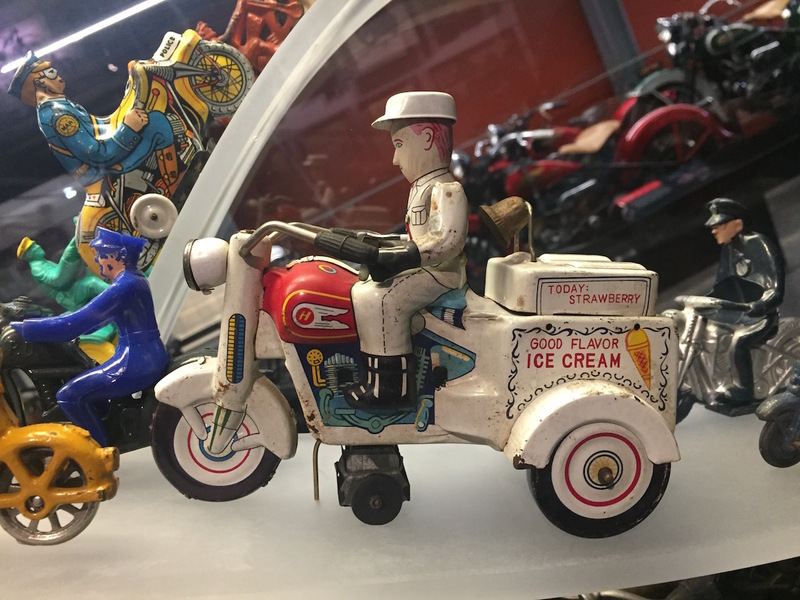 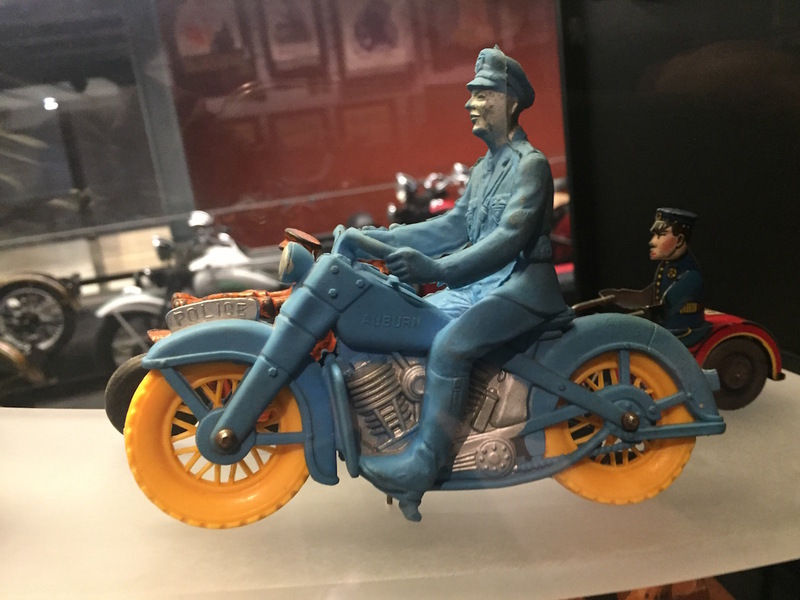 Harley-Davidson had also many friends among children as tin toys and for collectors. 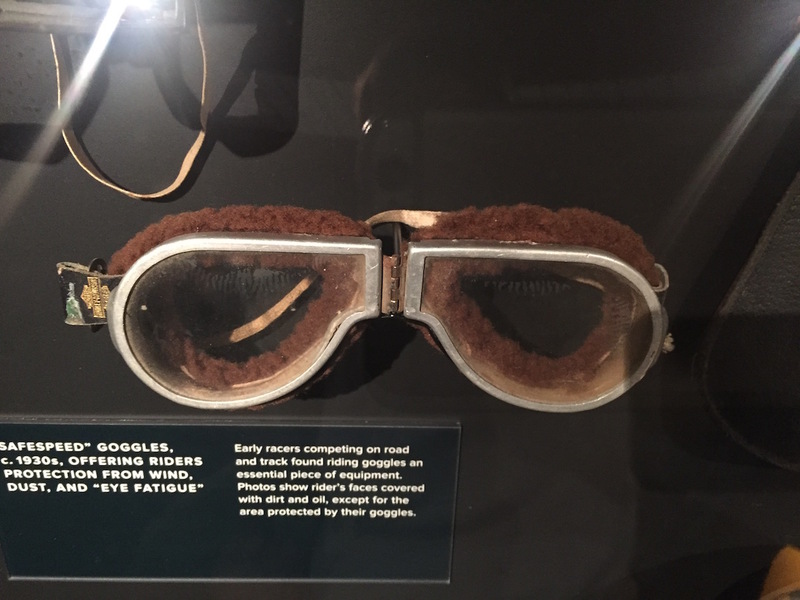 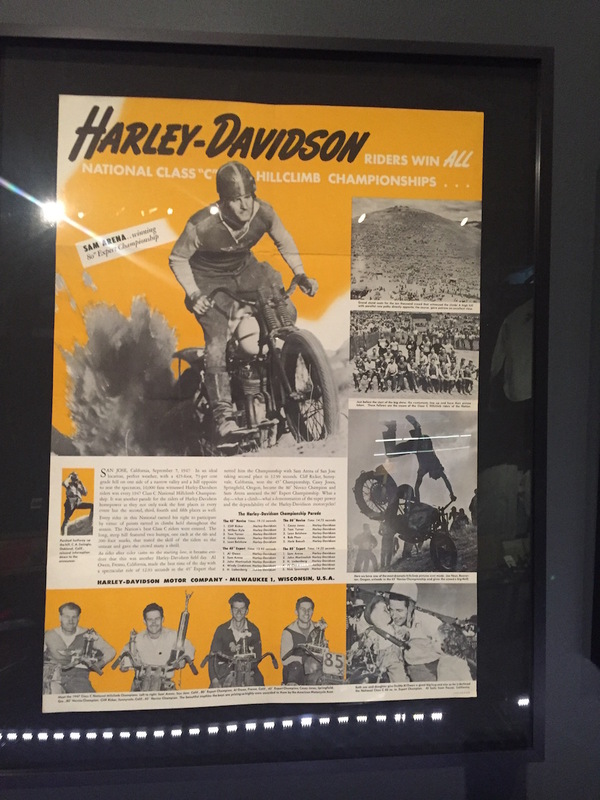 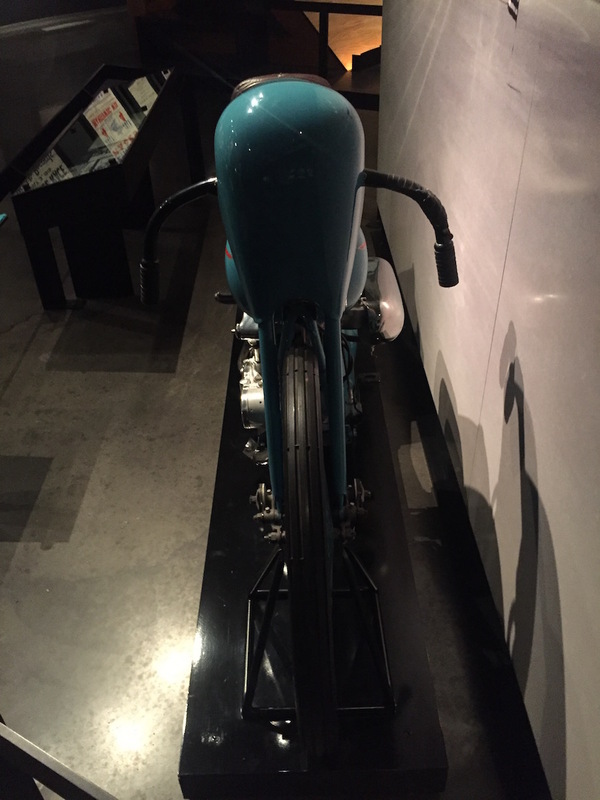 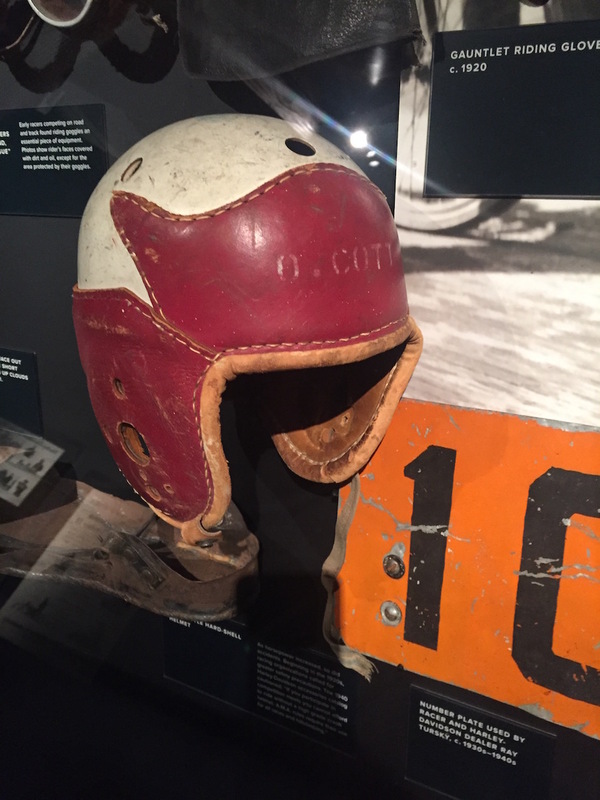 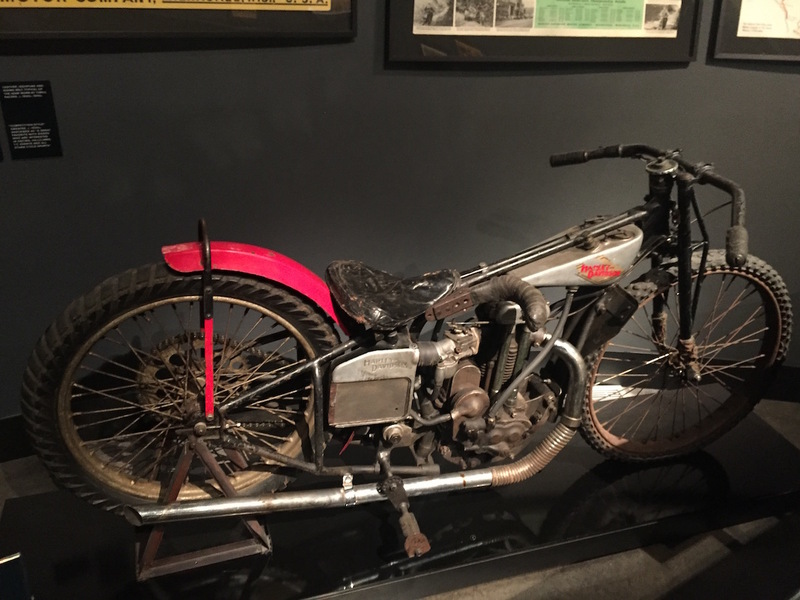 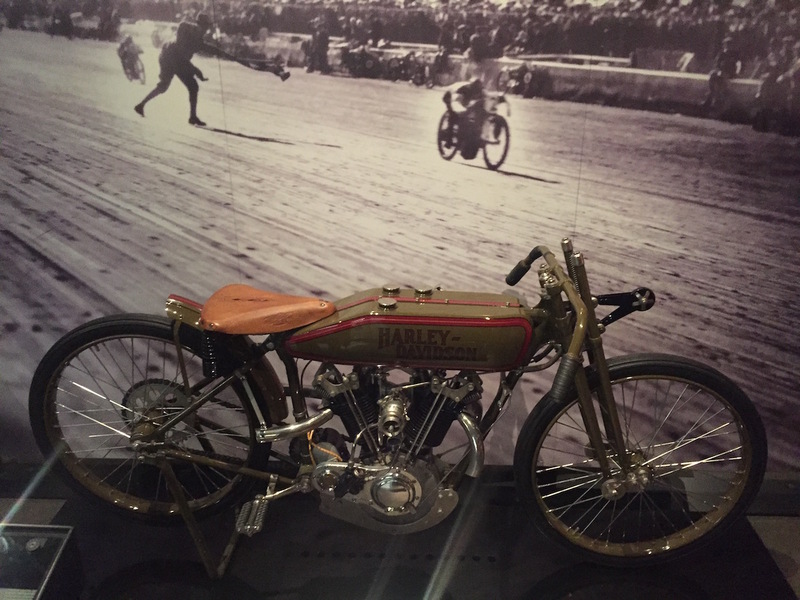 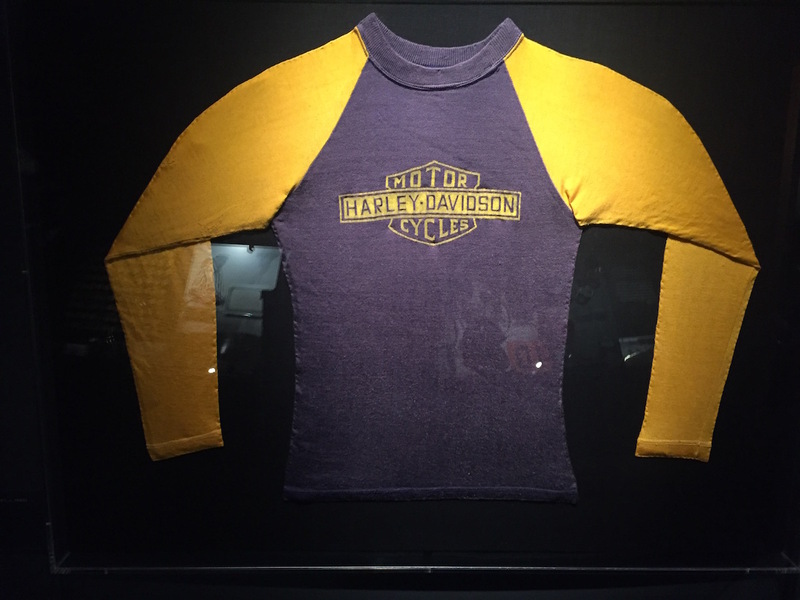 An interesting part of the exhibit literally circles around the racing history of Harley. 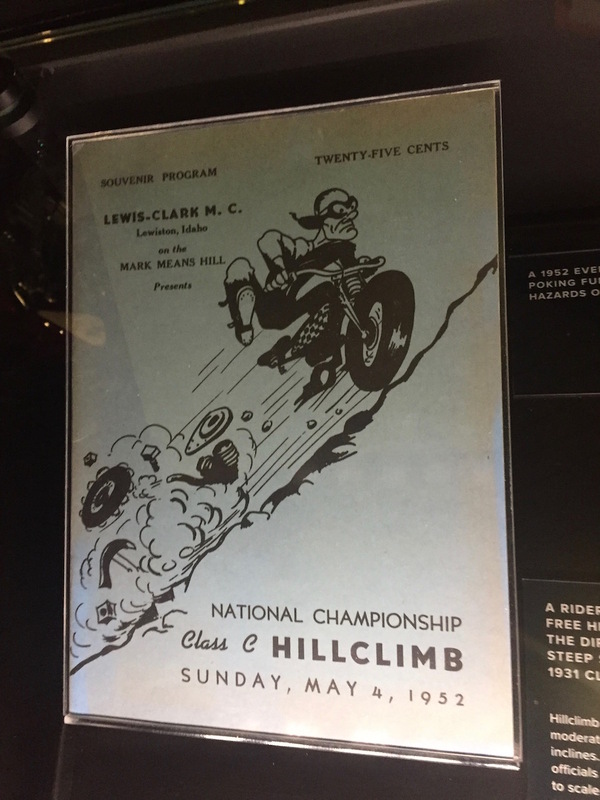 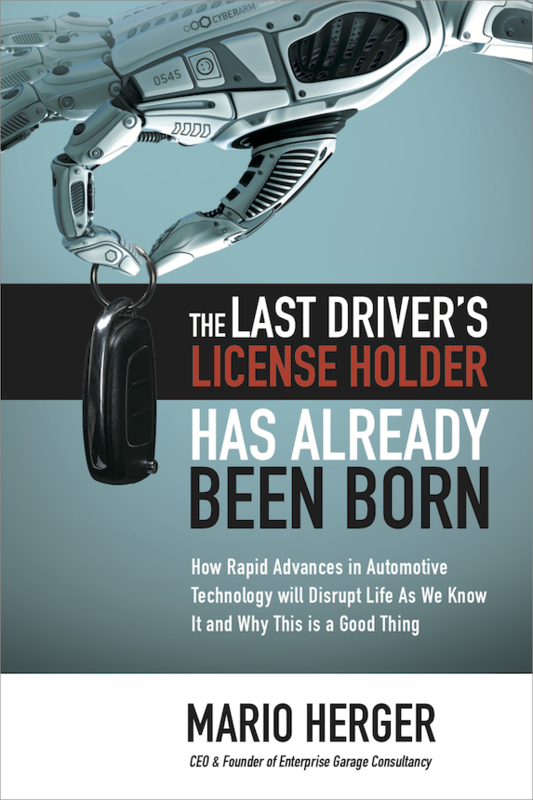 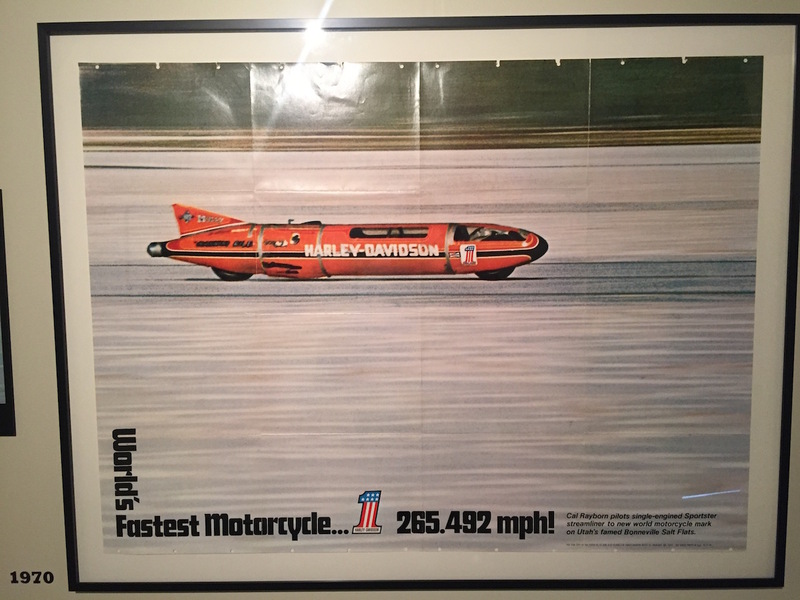 From land speed records, to hill climbing, everything can be found. 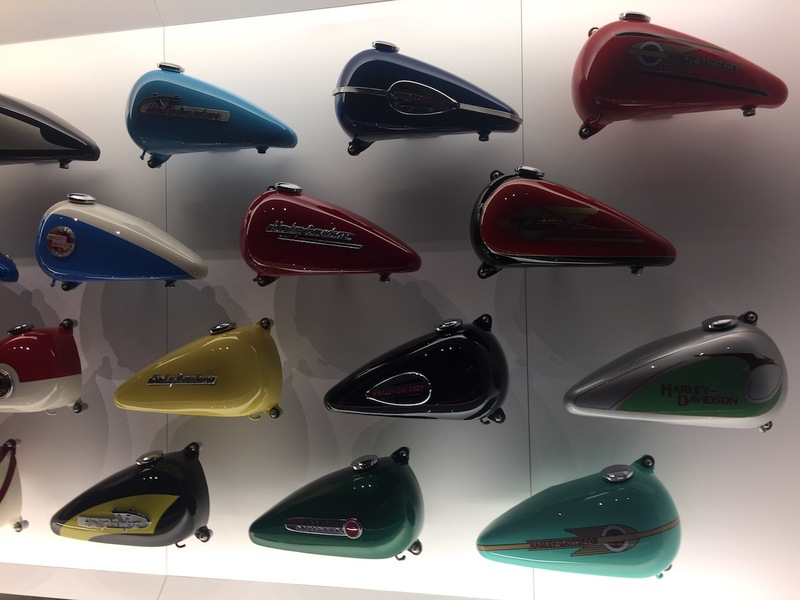 A whole wall is filled with tanks in different paintings, a sign of the customization cult among Harley riders. 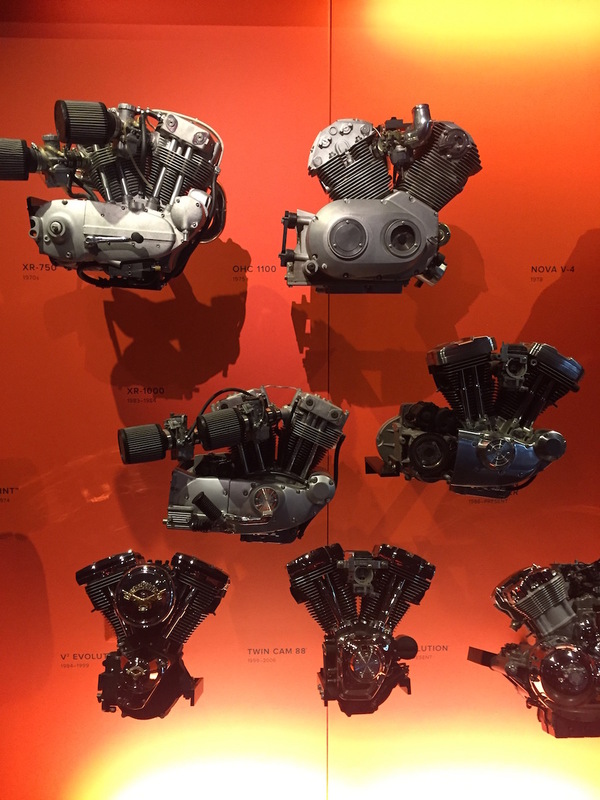 What would be Harley without its engines and their characteristic sound? 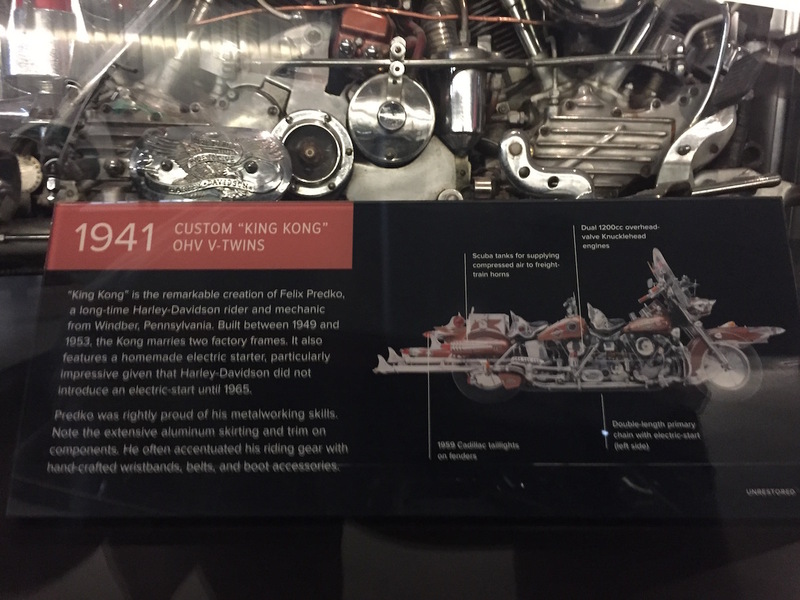 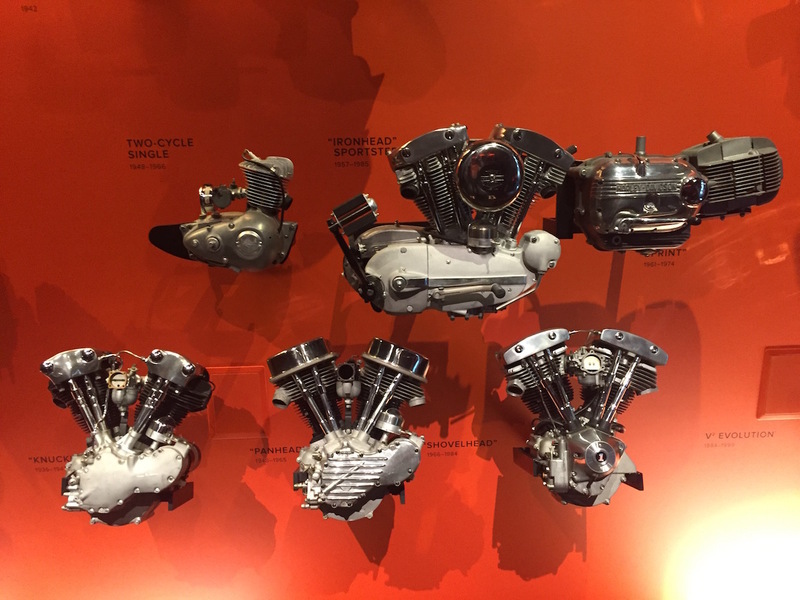 A section of the exhibit shows the evolution of Harley engines. 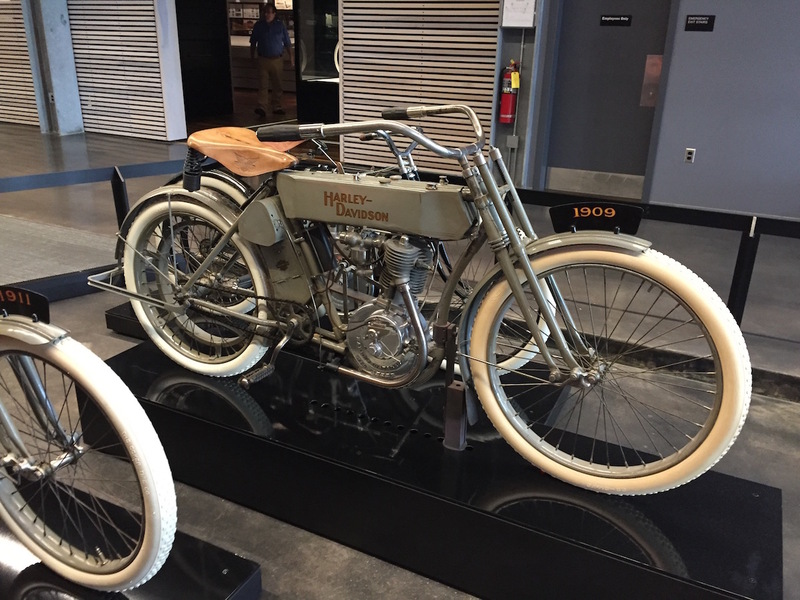 In their long history, Harley-Davidson has not been immune from missteps. 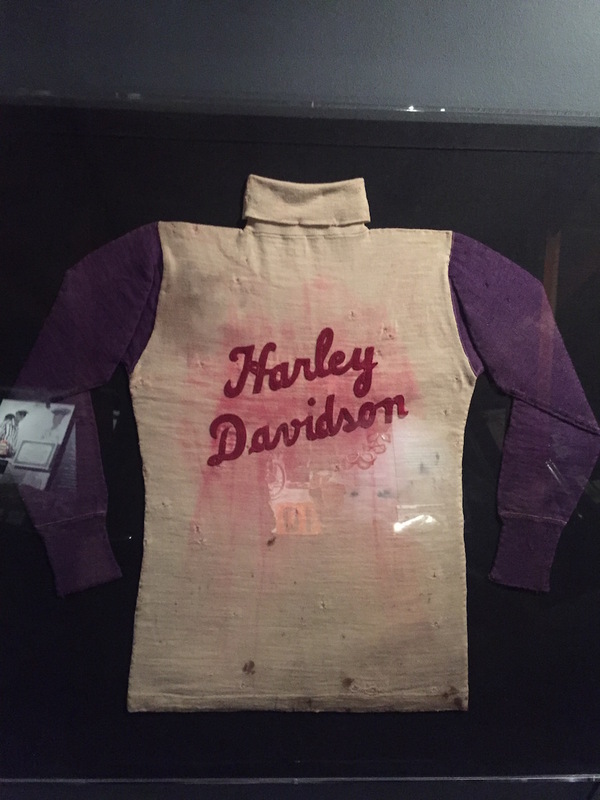 And Harley doesn’t spare them from being exhibited. 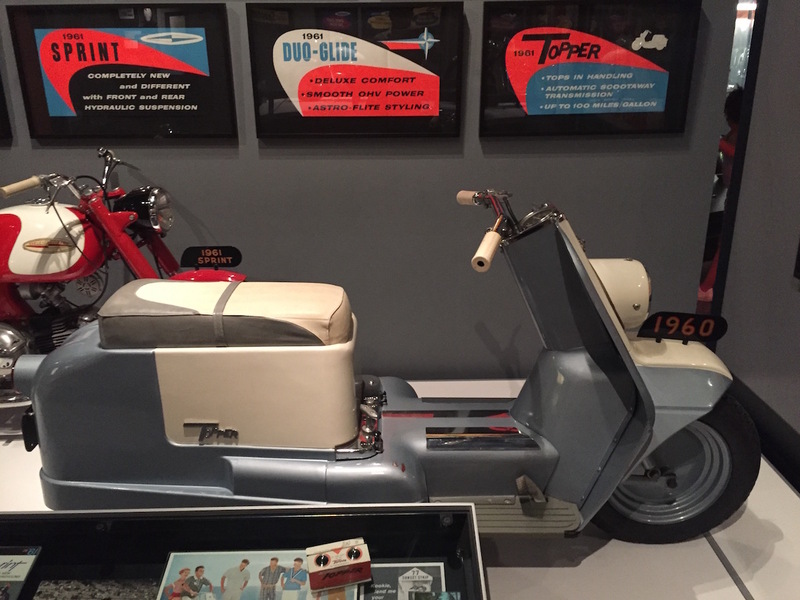 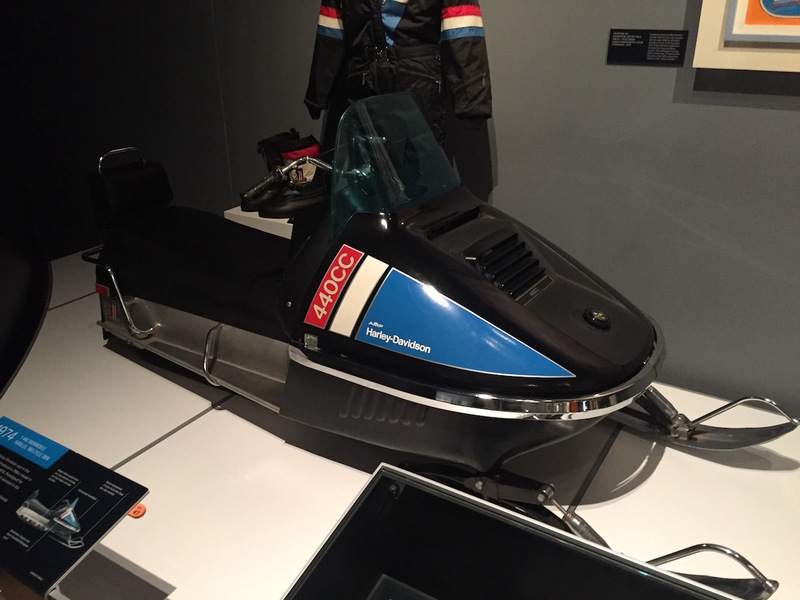 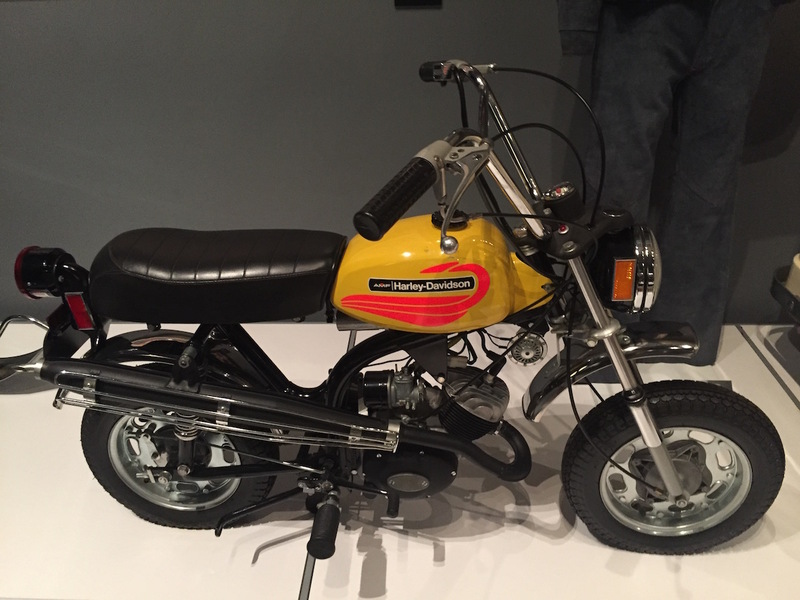 Starting with the Model A Topper from 1960 following the scooter craze, to the shrunk version of a real motorbike, the Shortster, there was even the snowmobile Y-440 from 1974 and golf carts. 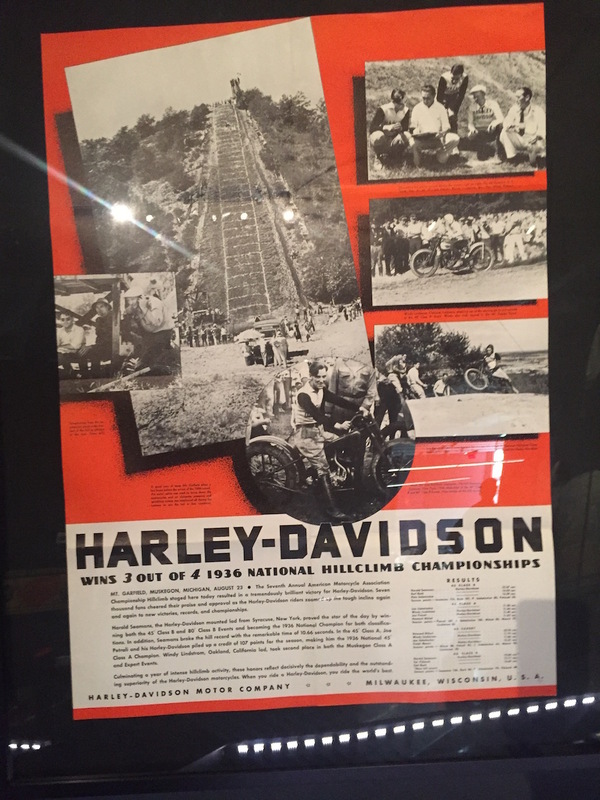 Harley-Davidson basically invented and ruled that latter category for some time. 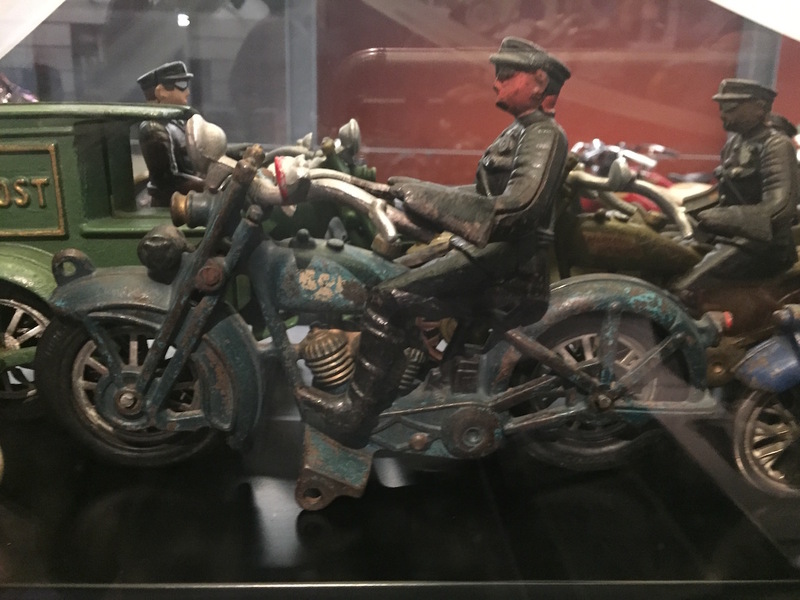 Movie buffs can also find quite some artifacts. 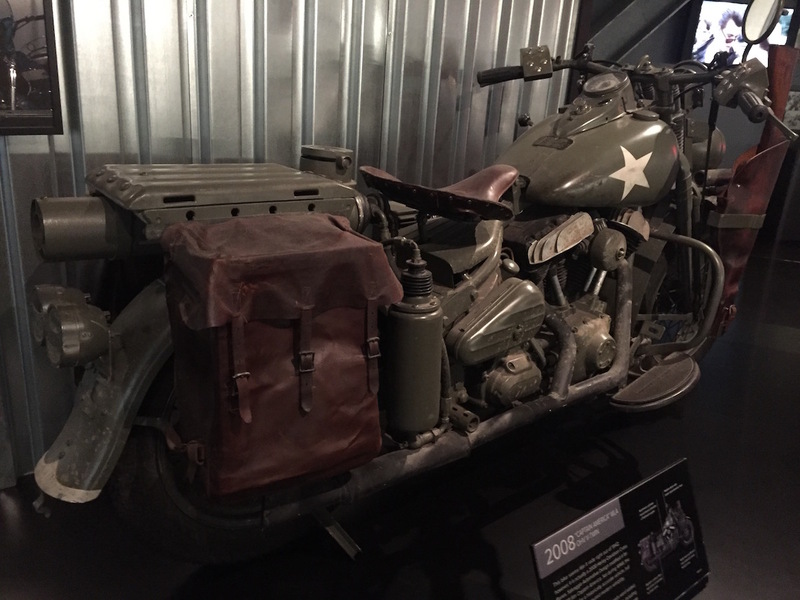 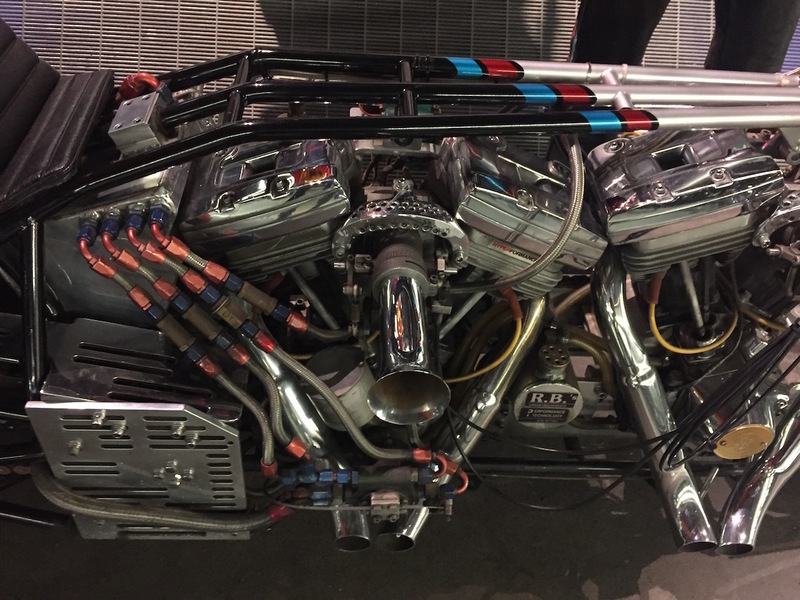 Here is the Captain America WLA OHV V-Twin, which looks like coming straight from 1942. 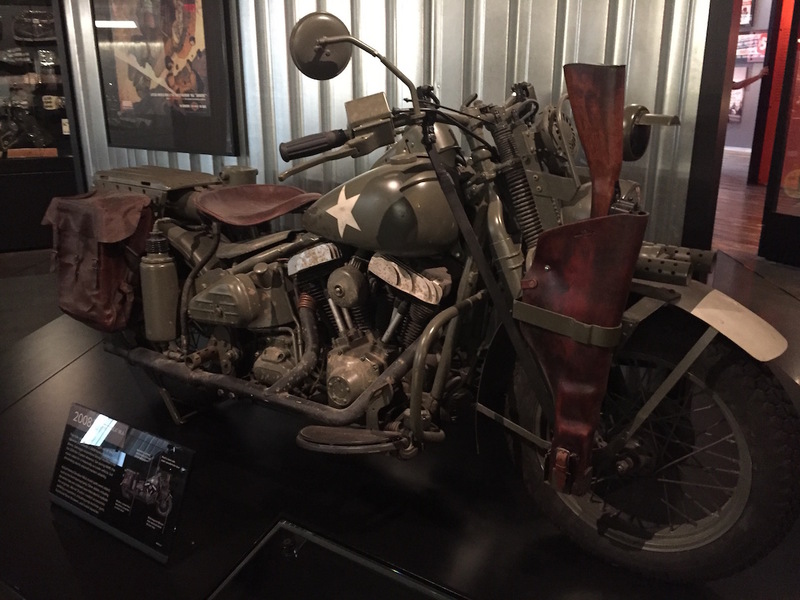 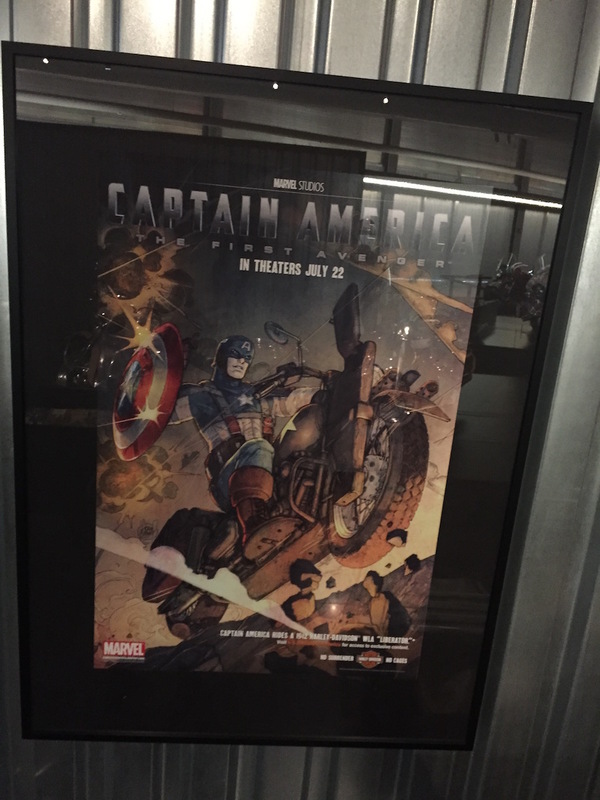 In fact it is a 2008 Harley-Davidson Cross Bones, which was adapted for the Captain America movie. 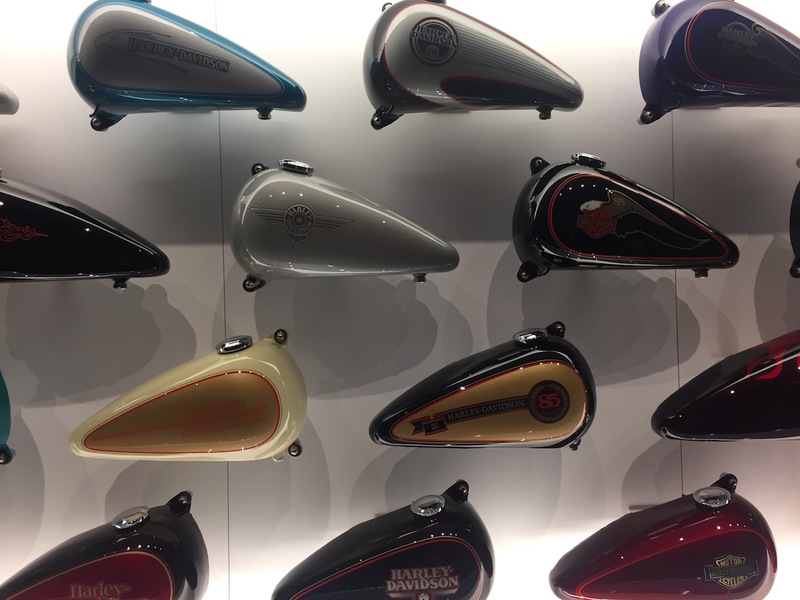 The real eye-candy comes with the personalized bikes. 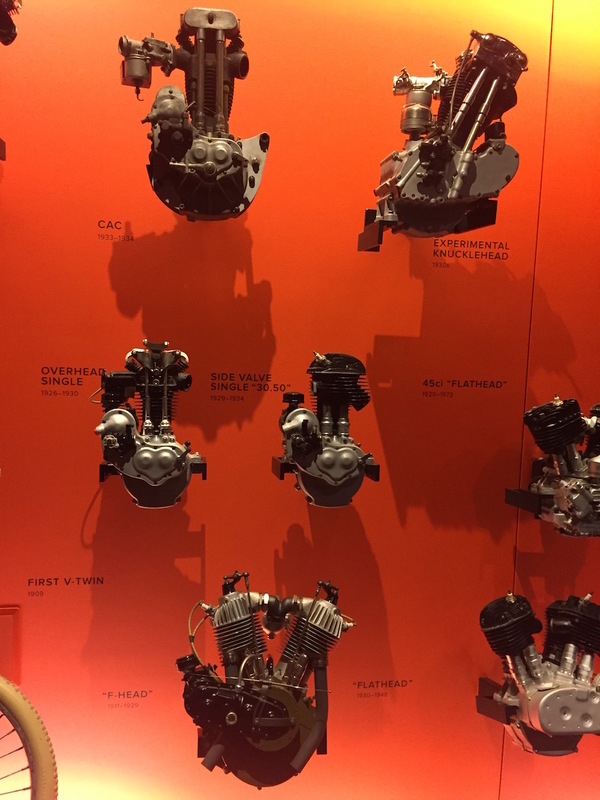 The museum offers multiple great examples of them. 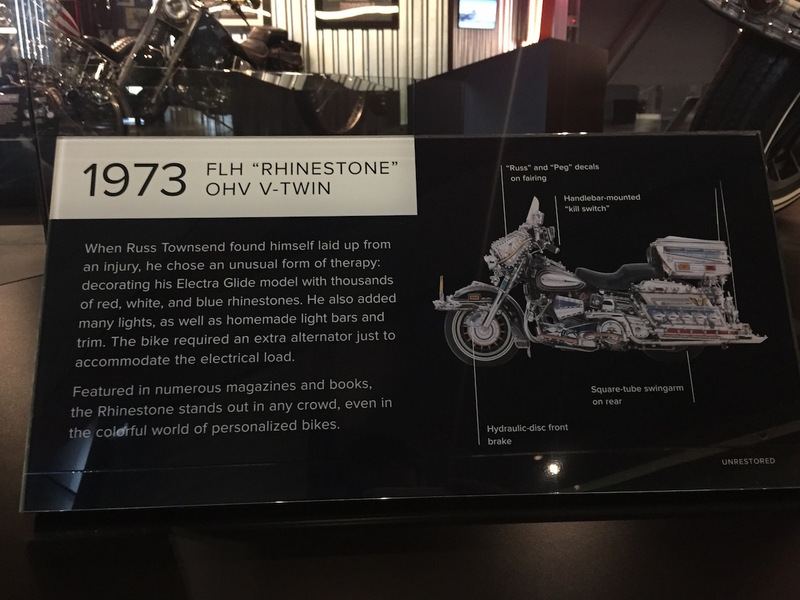 One is the FLH-8 Heritage edition OHV V-Twin from 1981. 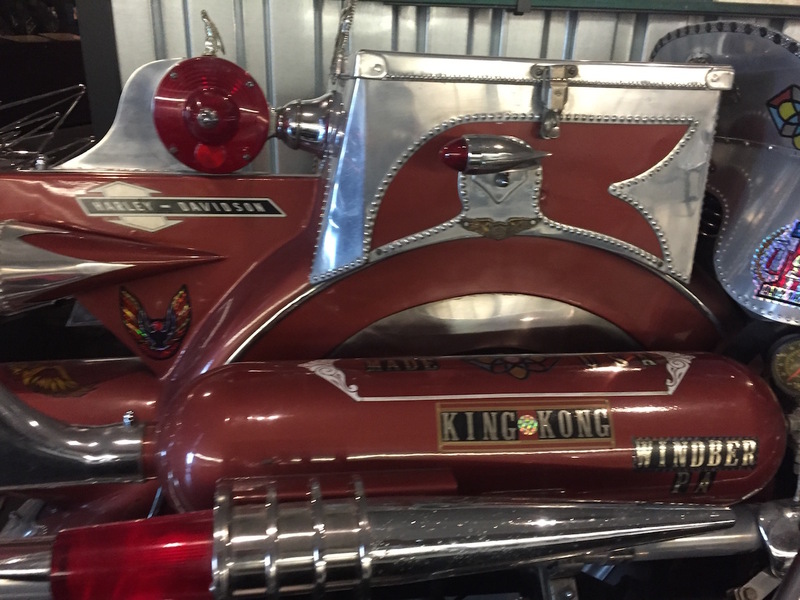 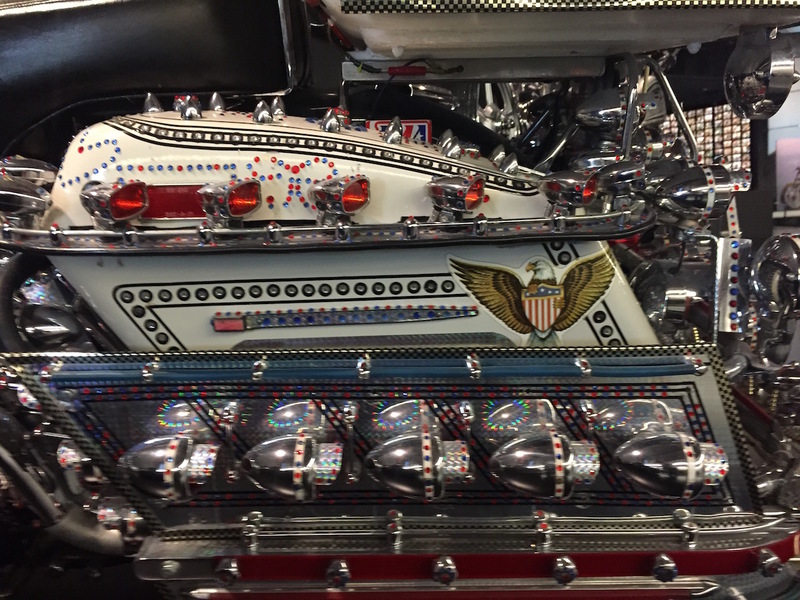 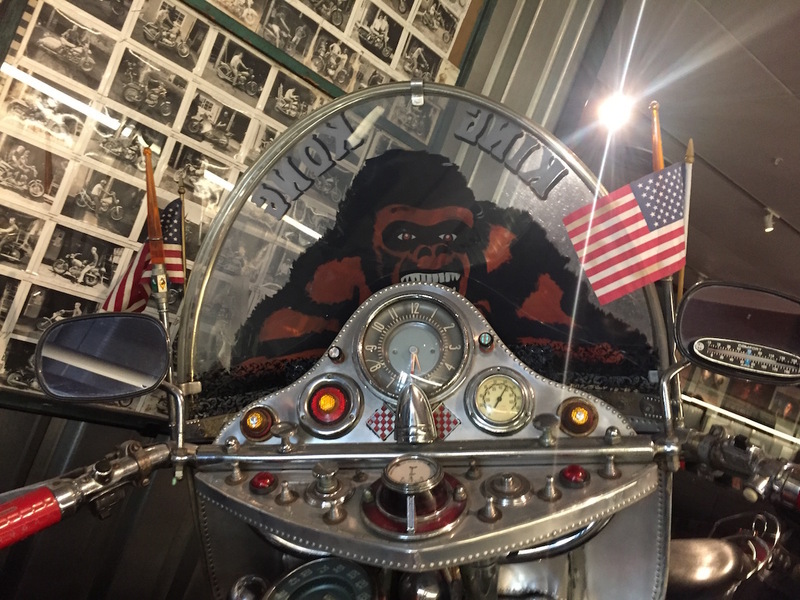 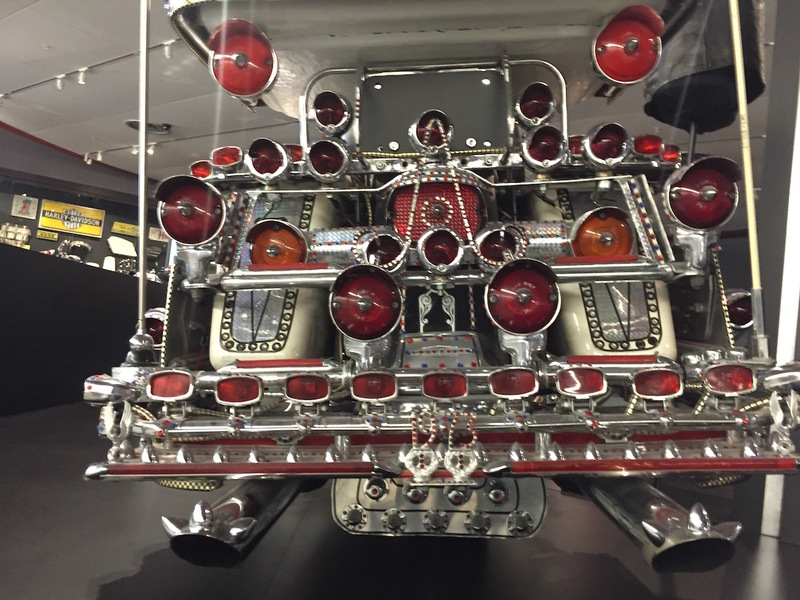 Especially compelling are the FLH “Uptight” from 1958, the FLH “Rhinestone” from 1973 and especially the extra-customized King-Kong-machine from 1941. 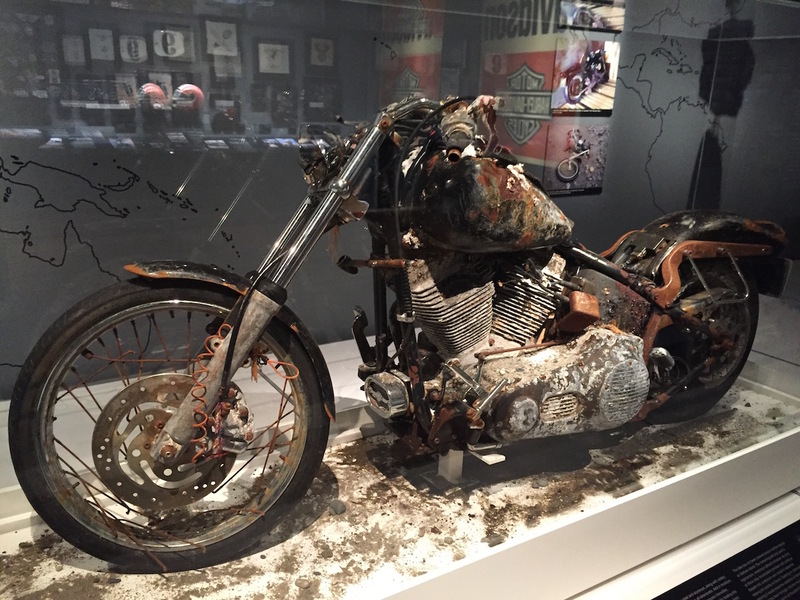 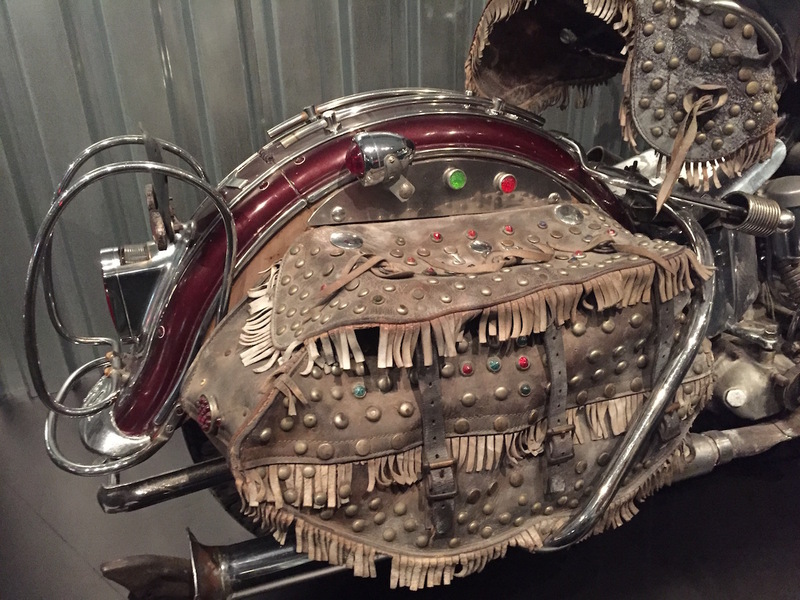 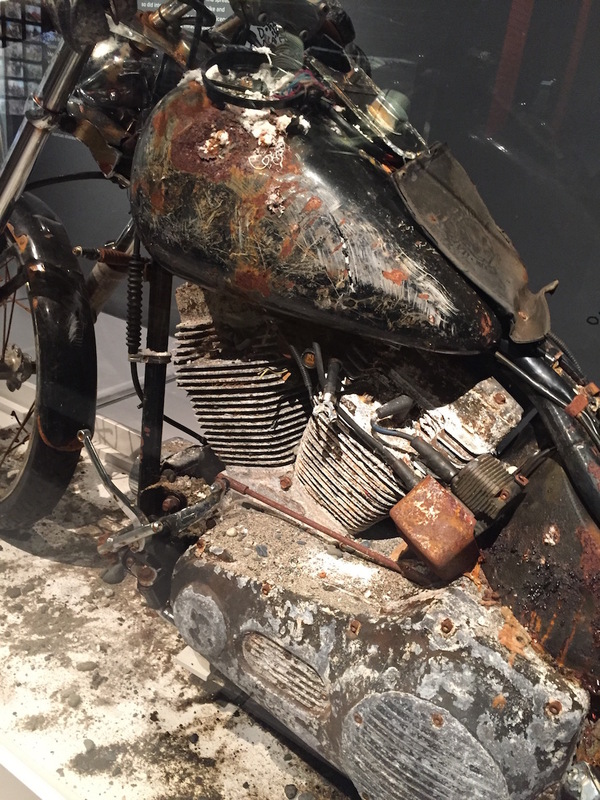 A touching exhibit is this battered Harley that Canadian beachcomber Peter Mark found in 2012 in a trailer floating at the isolated shoreline of Graham Island in British Columbia. 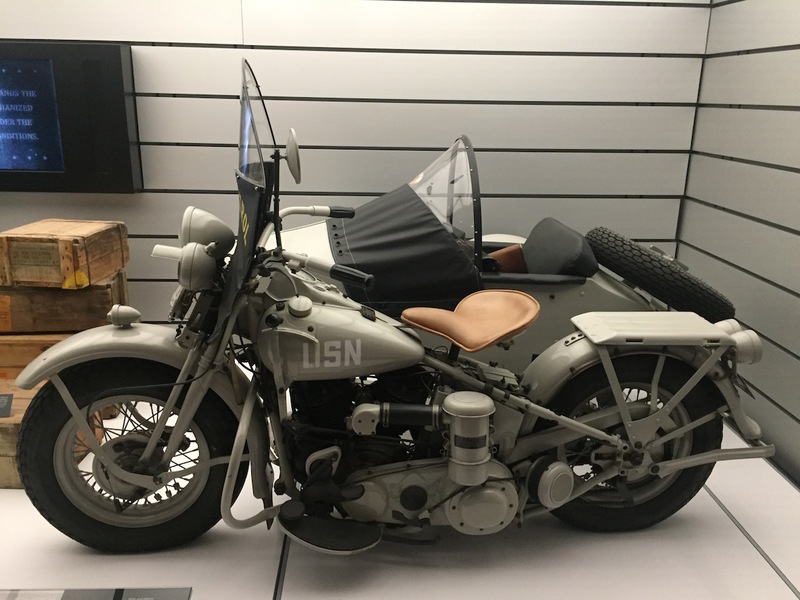 Turns out that this motorbike with a Japanese license plate was taken by the tsunami that devastated Japan on March 11th, 2011 and brought it 4,000 miles to the east. 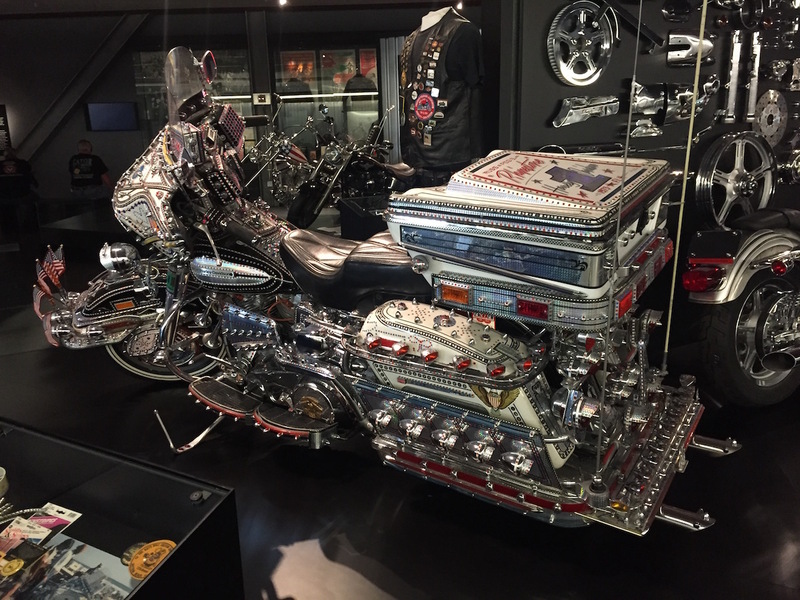 The owner, Ikuo Yokoyama, had stored his 2004 Night Train model in a trailer. 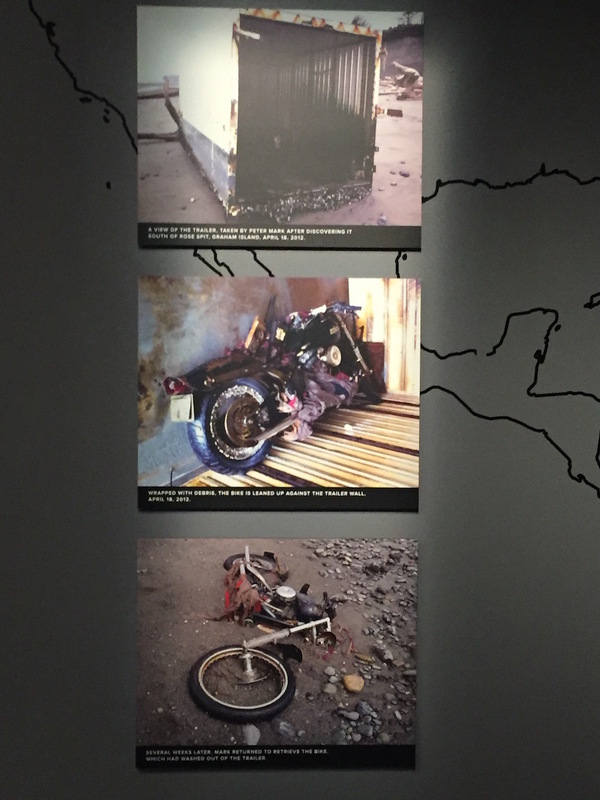 The tsunami not only took the bike, but also his home, belongings and several members of his family. 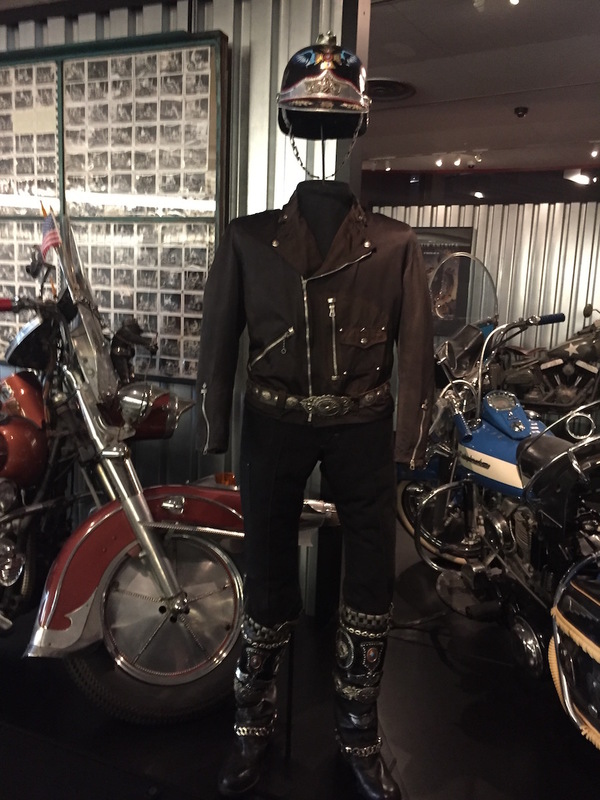 He left the motorcycle to the museum. 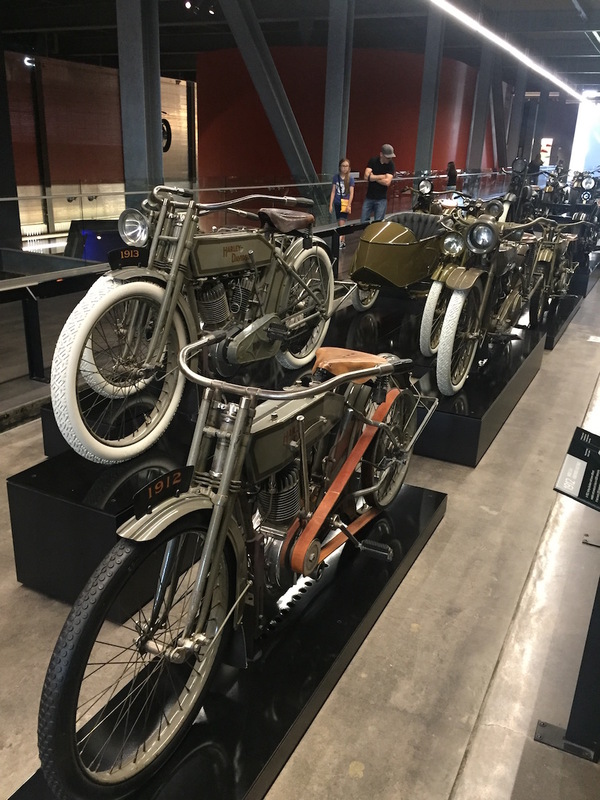 The end of the exhibition includes multiple Harleys that can be test ridden and used for photo opps. 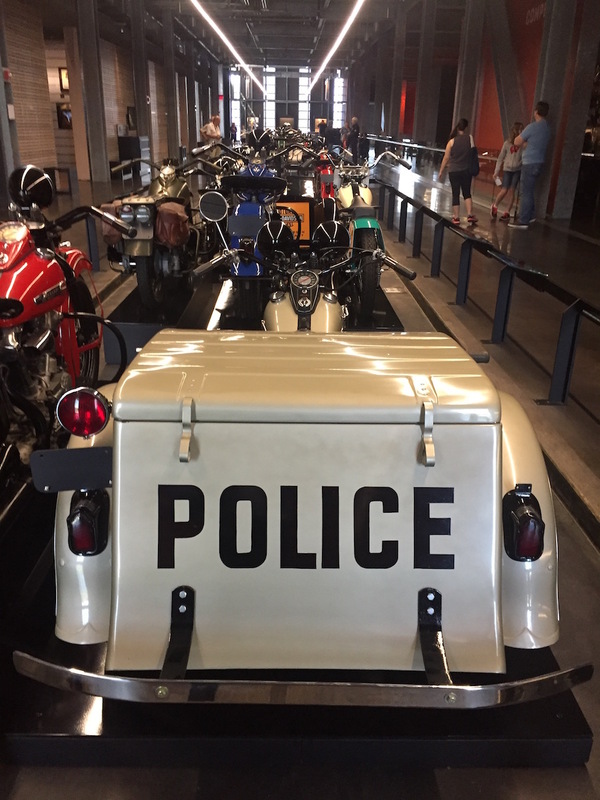 I also could witness a ride of 200 Harley-bikers, accompanied by motorbike cops (of course also on Harleys).